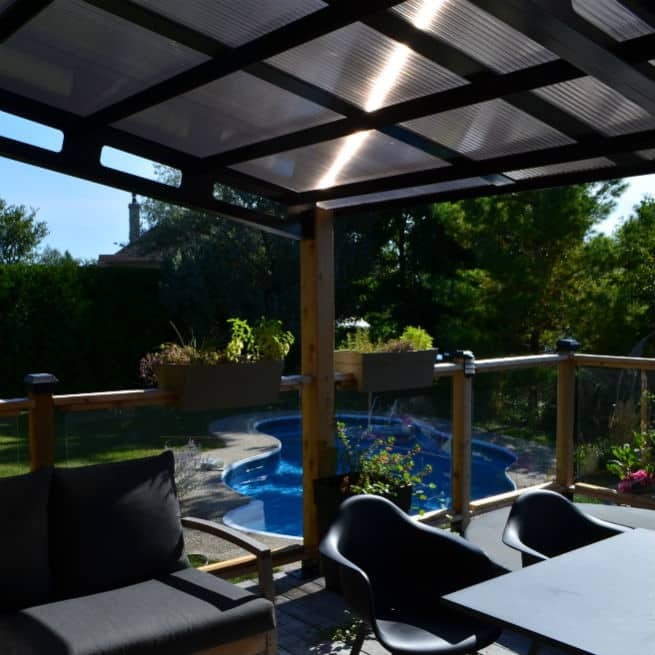 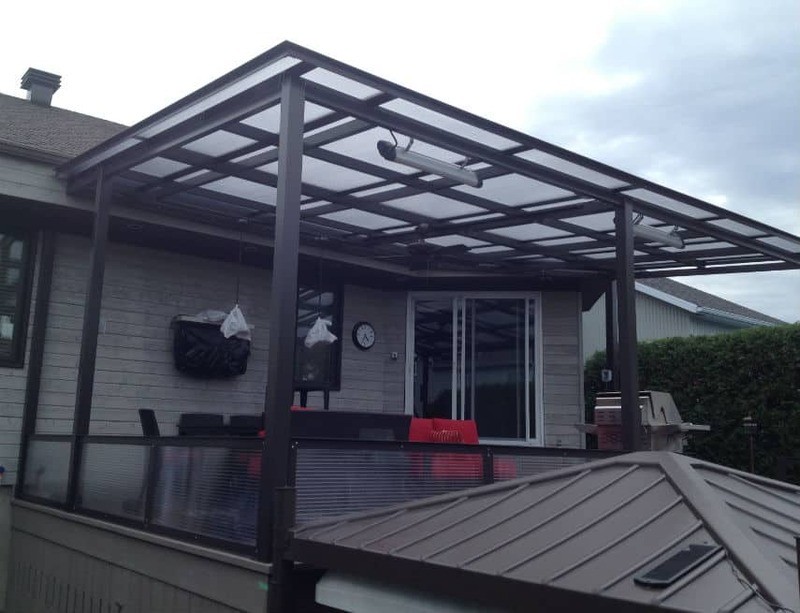 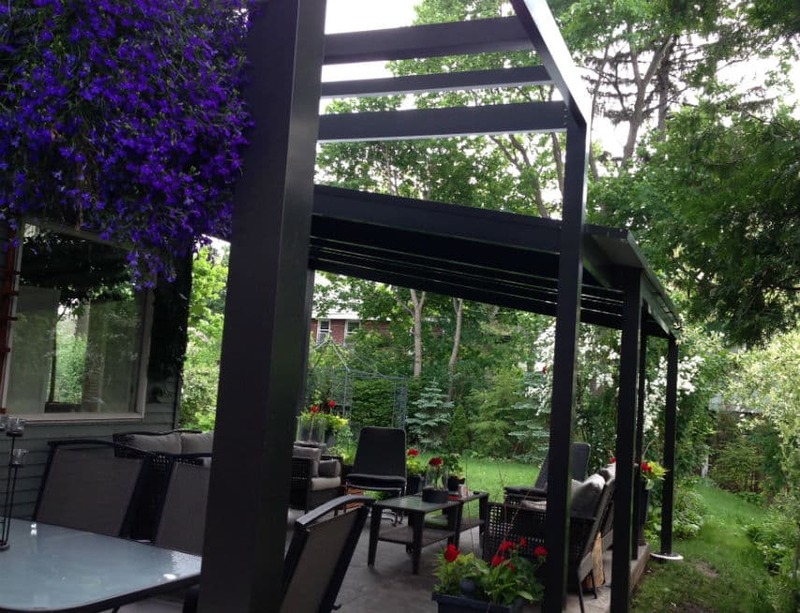 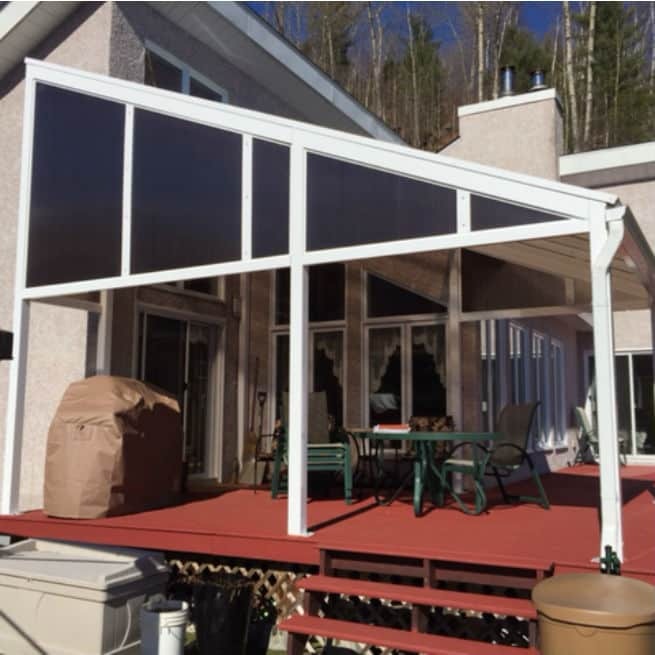 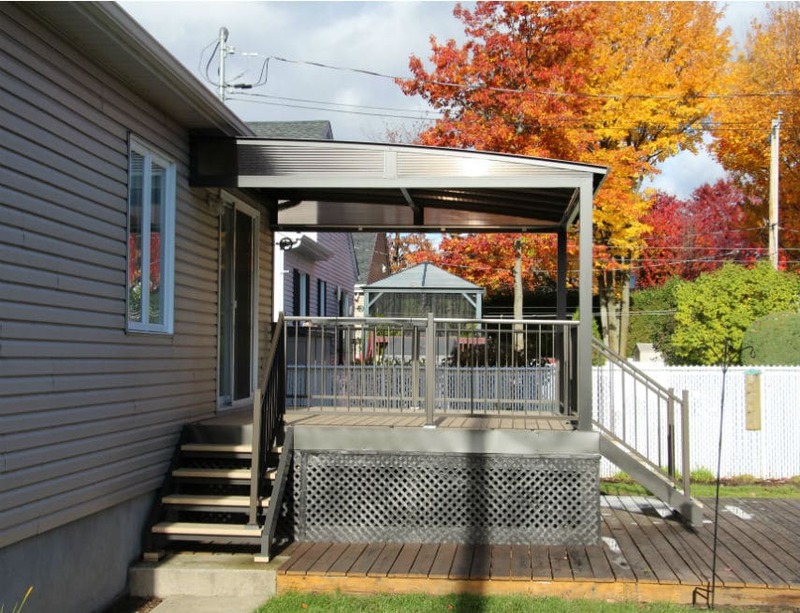 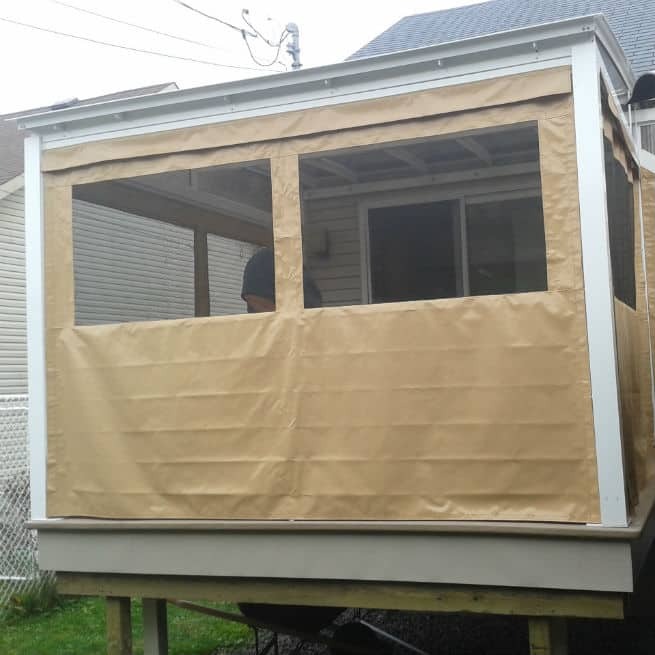 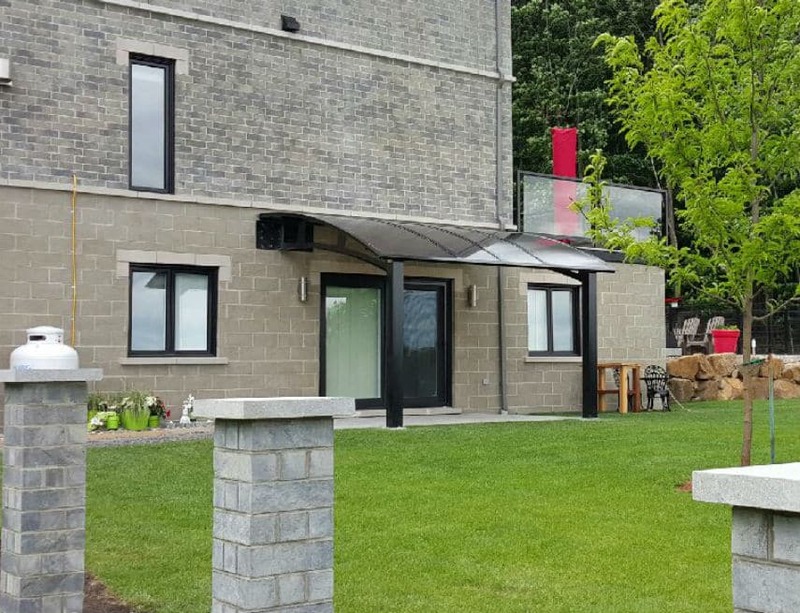 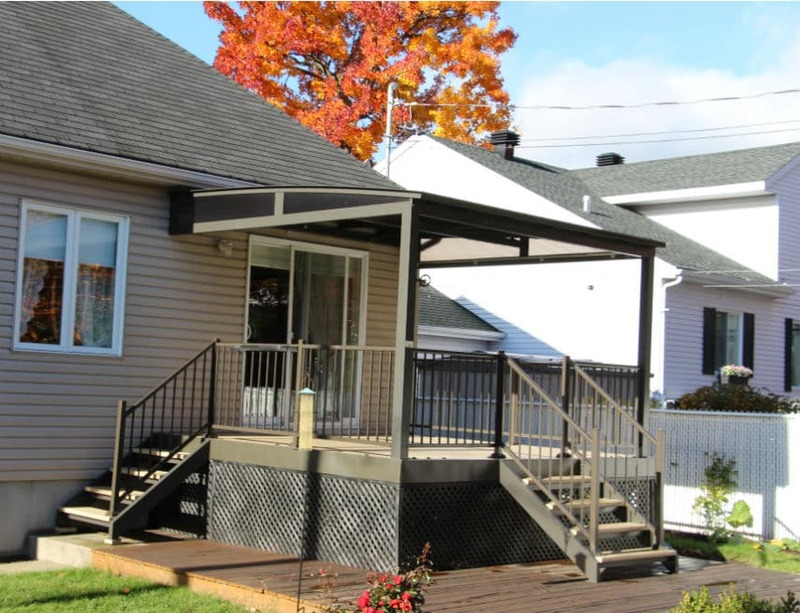 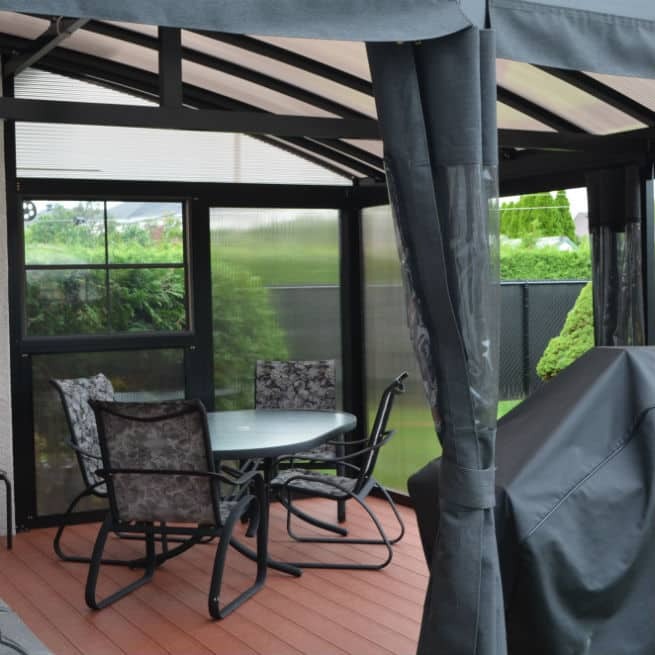 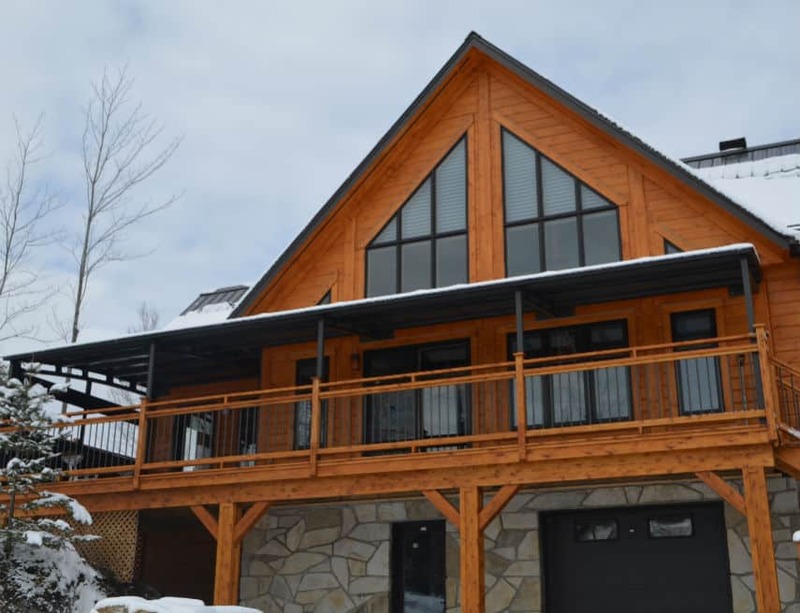 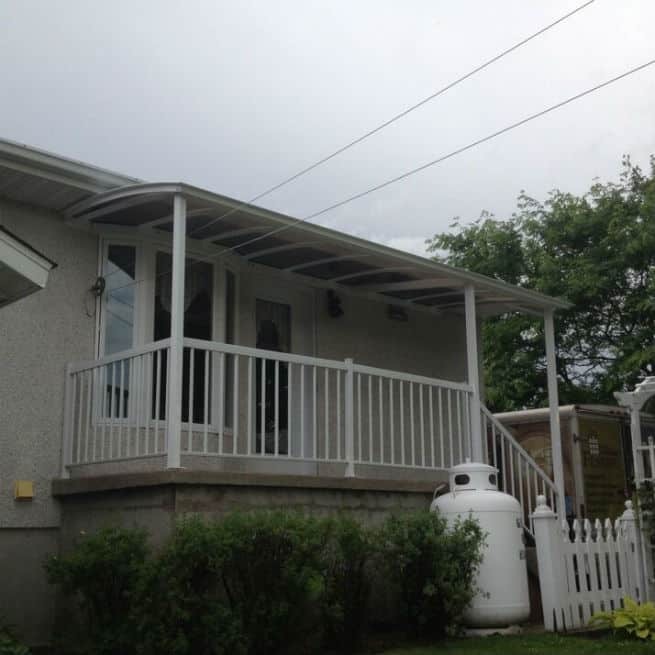 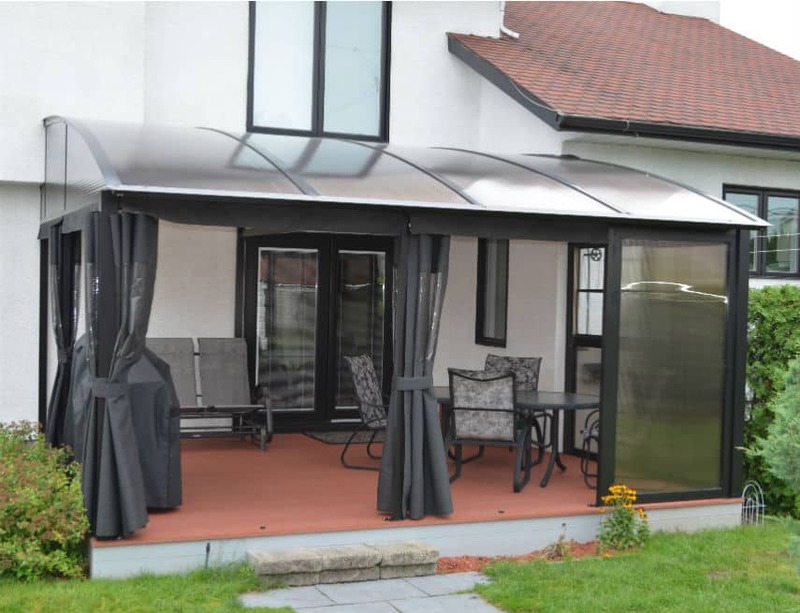 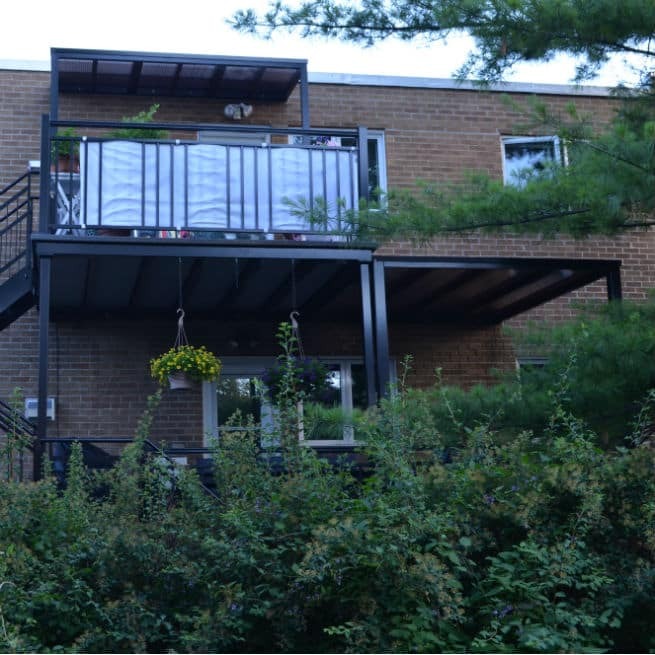 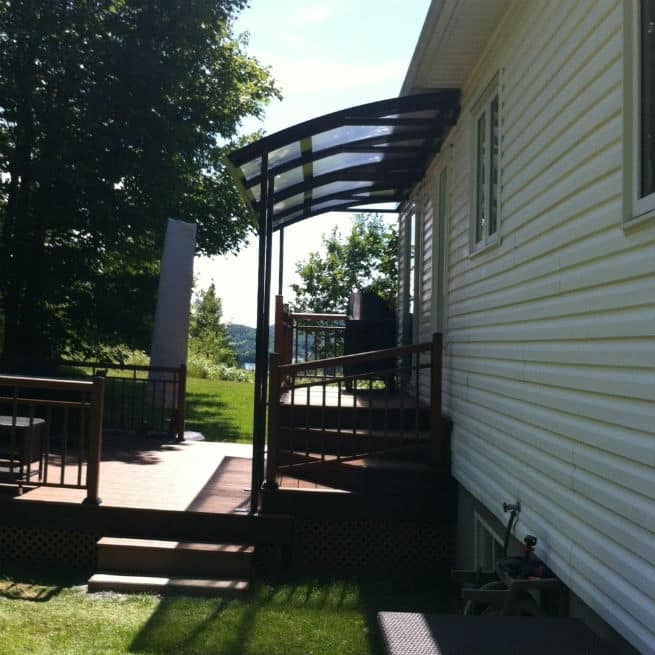 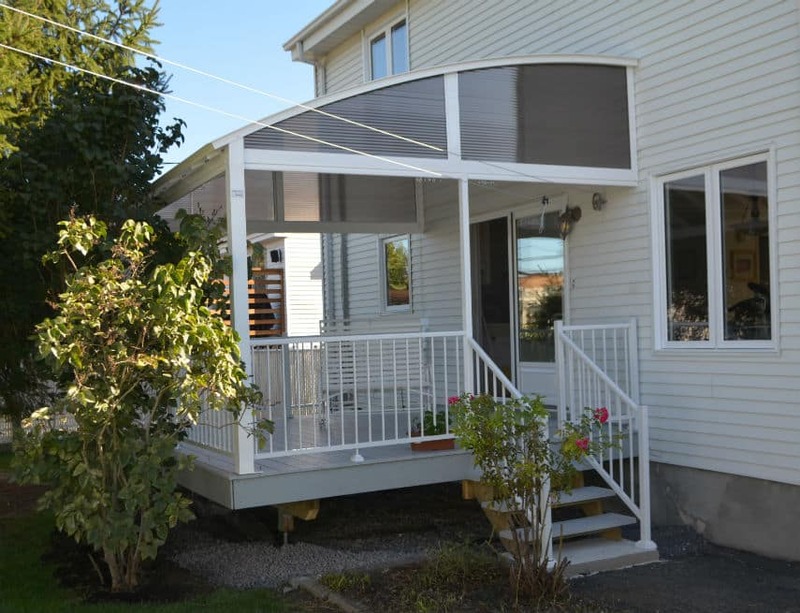 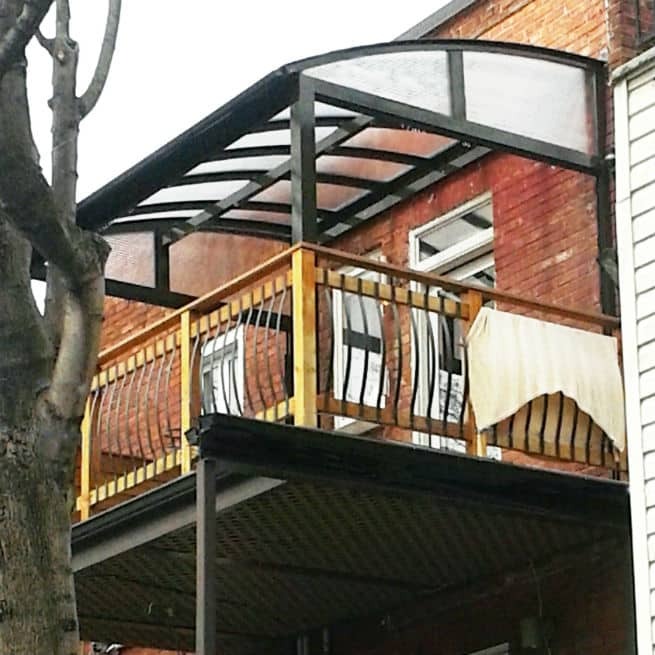 This customer in the Eastern Townships mandated us to cover his balcony. 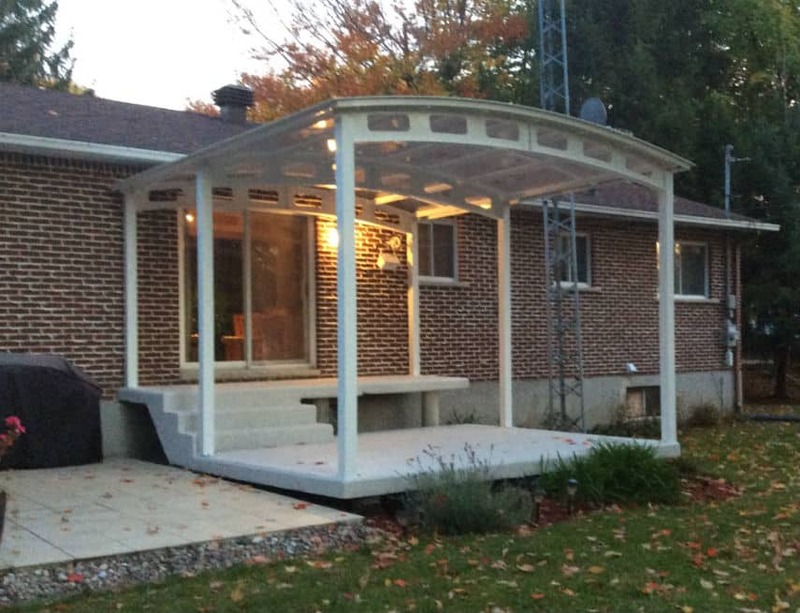 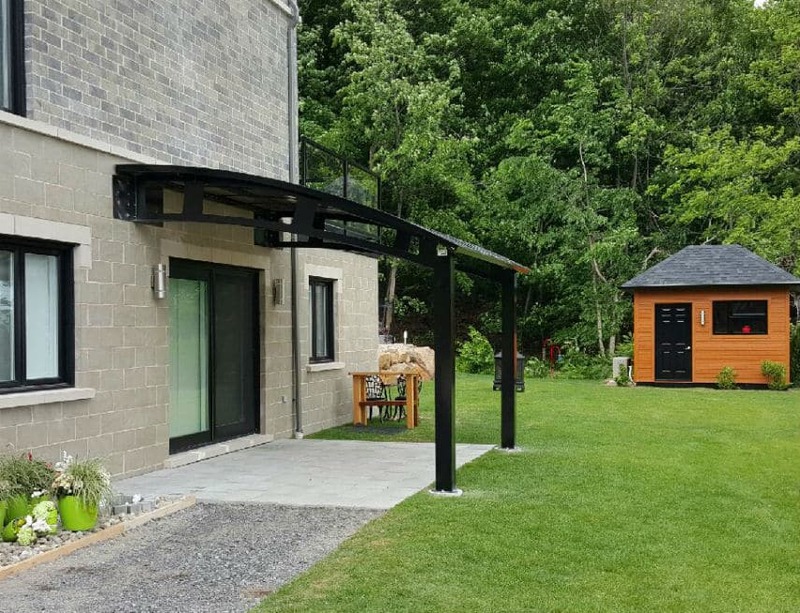 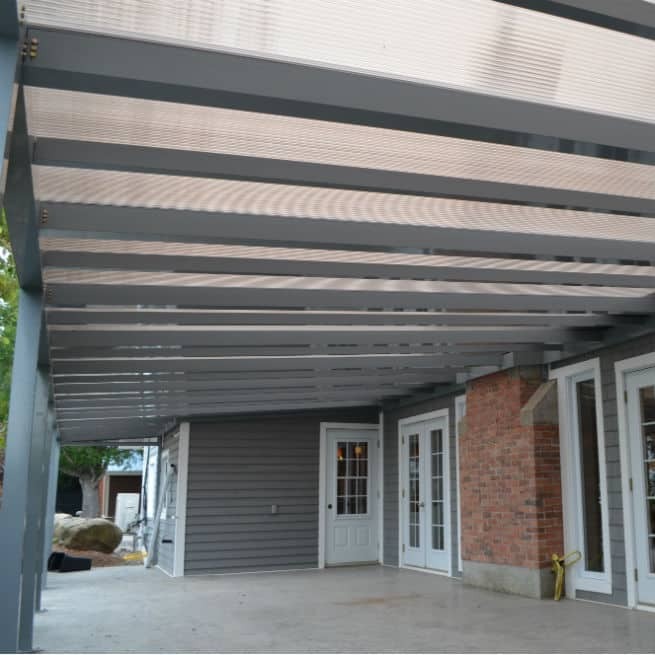 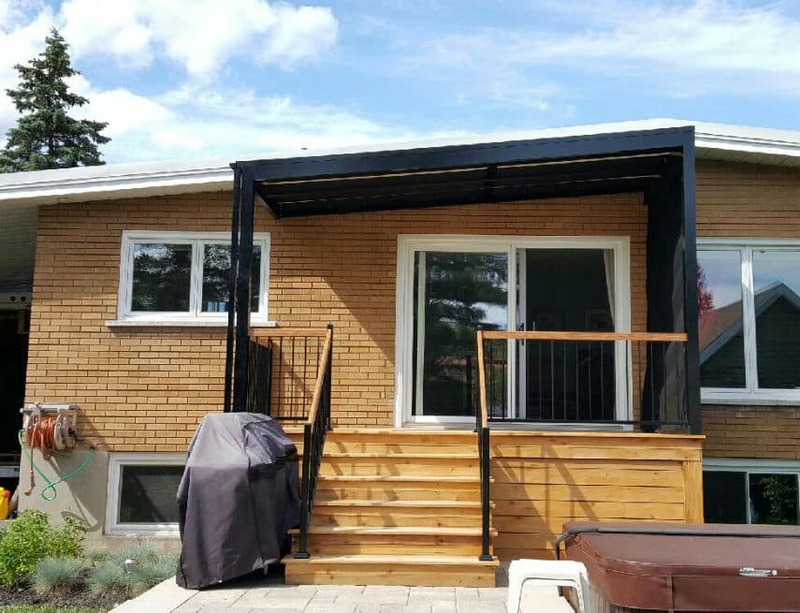 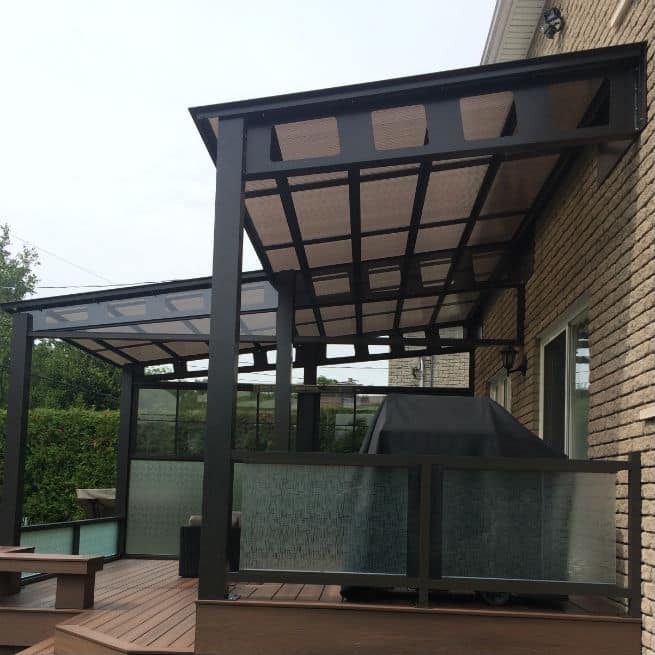 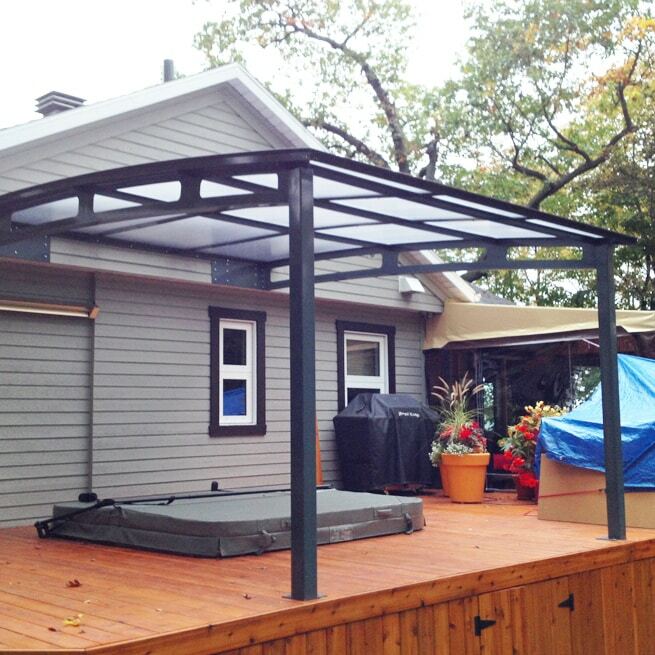 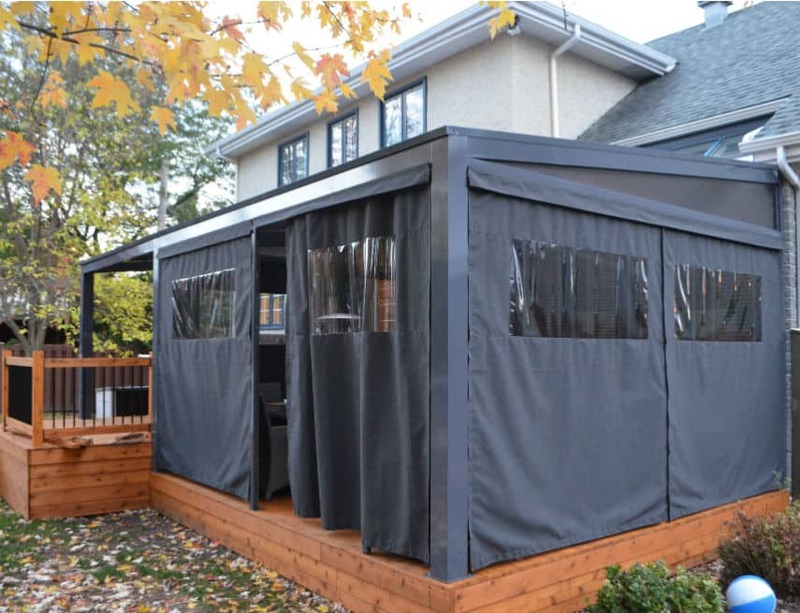 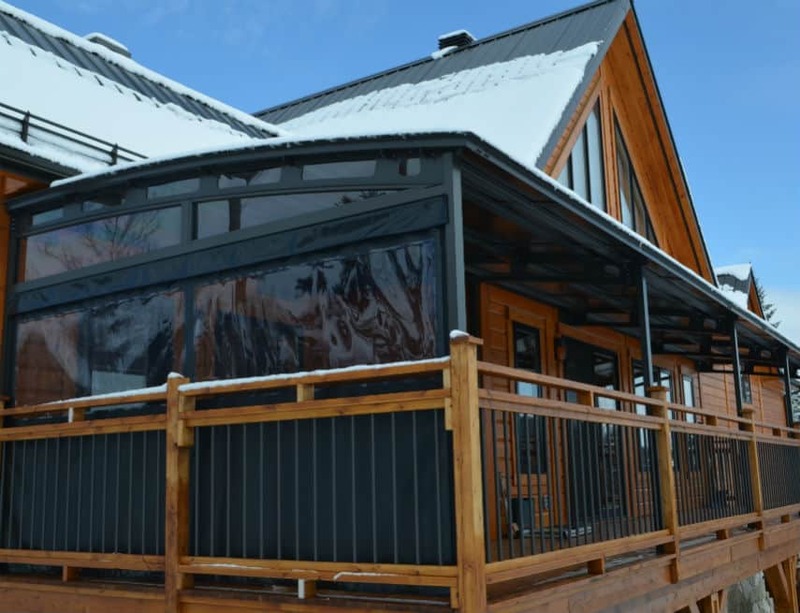 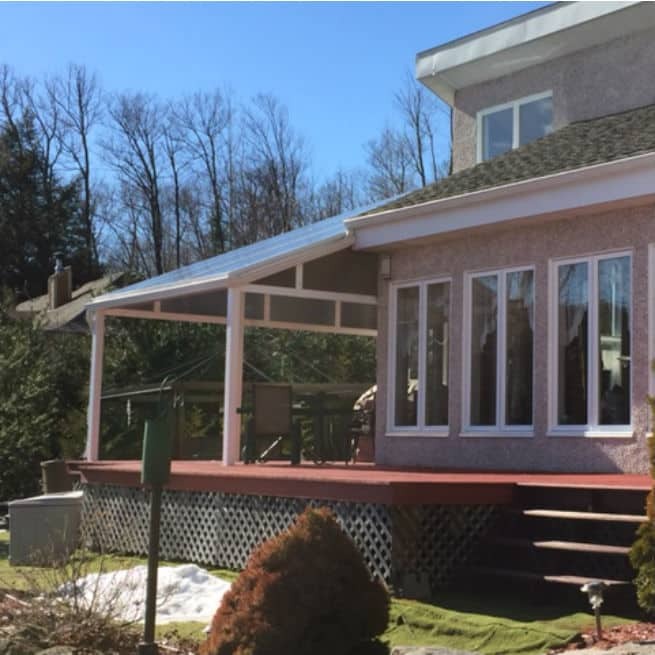 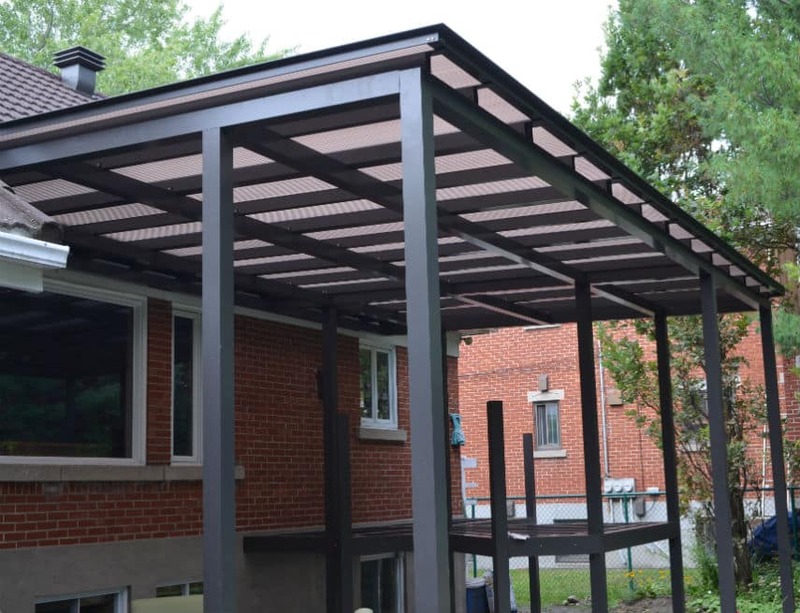 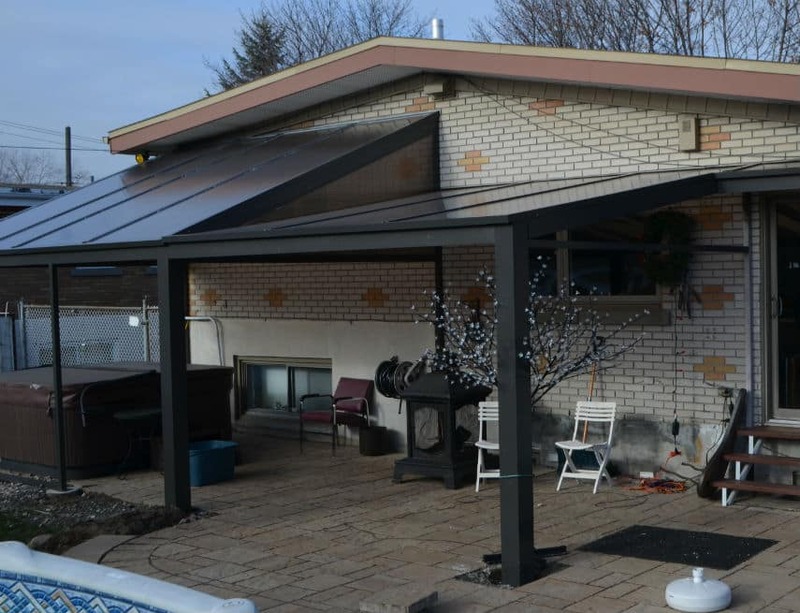 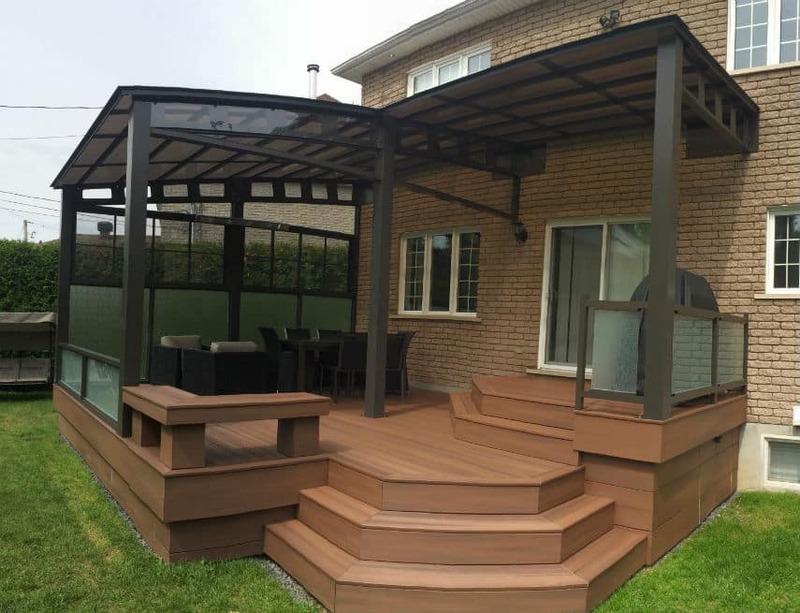 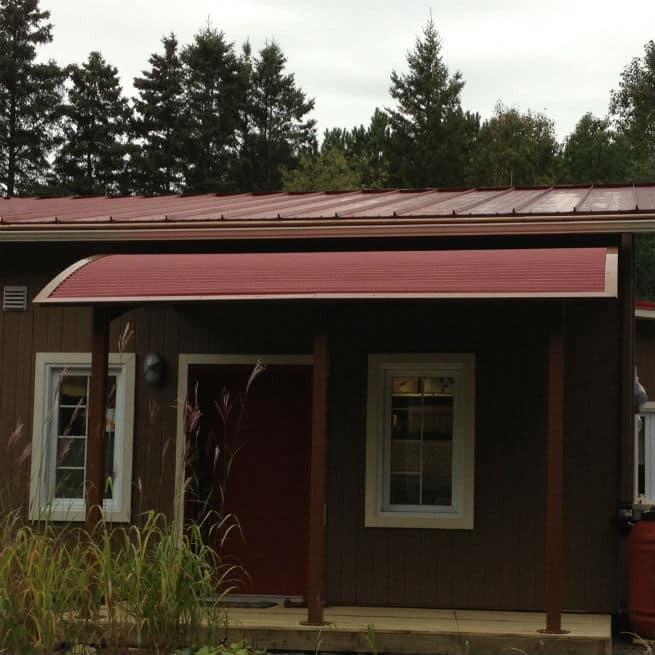 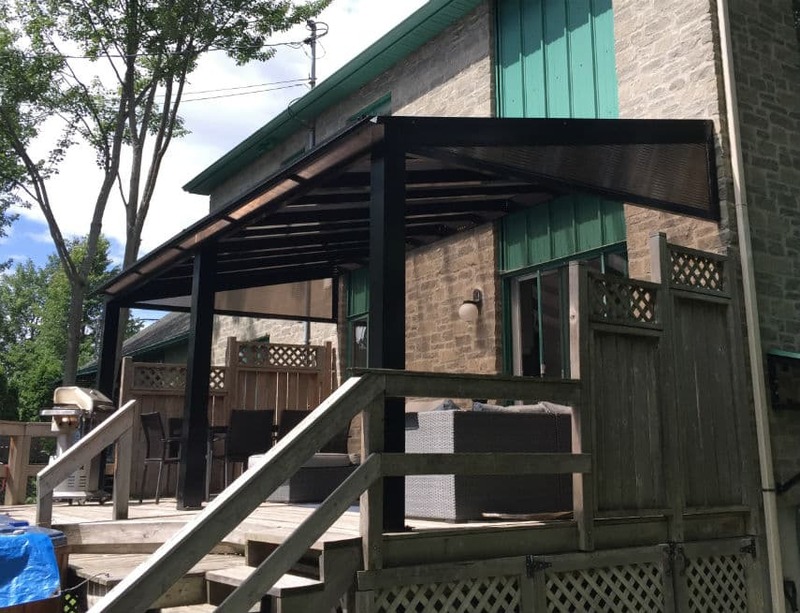 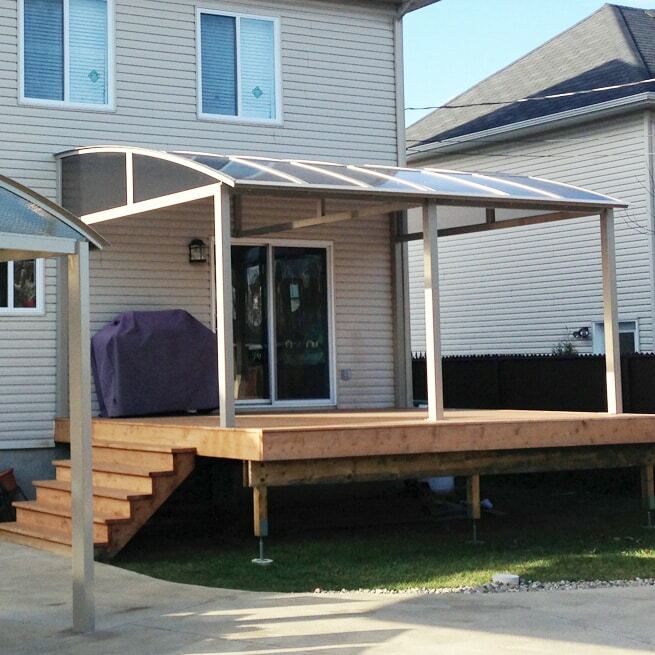 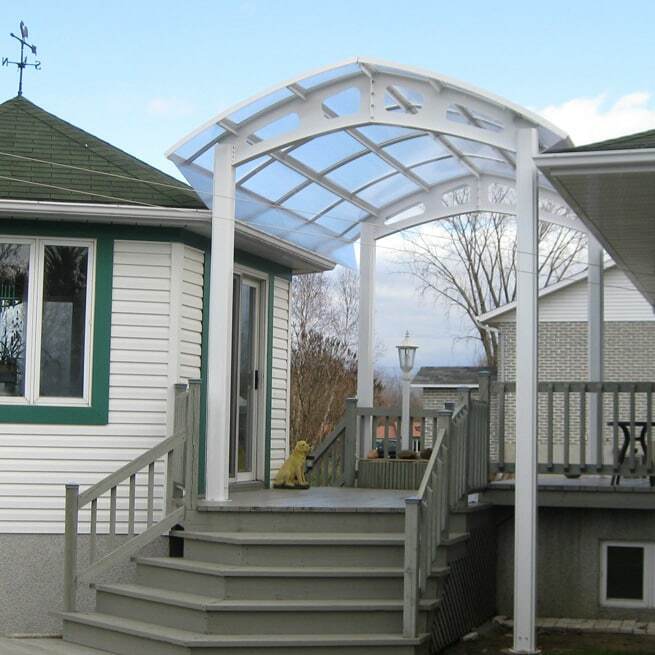 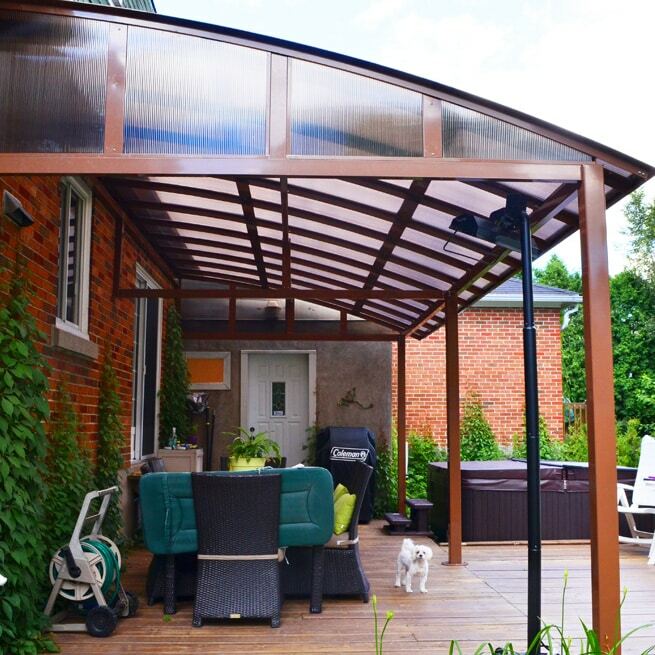 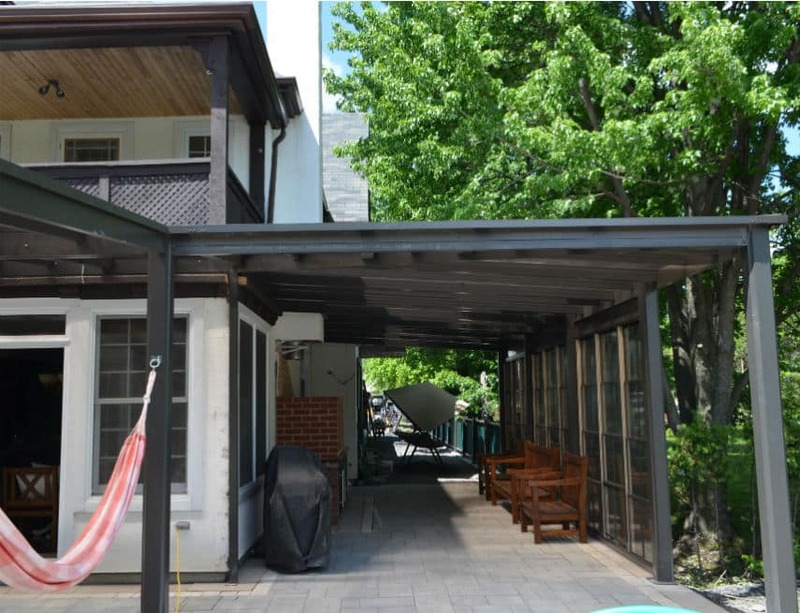 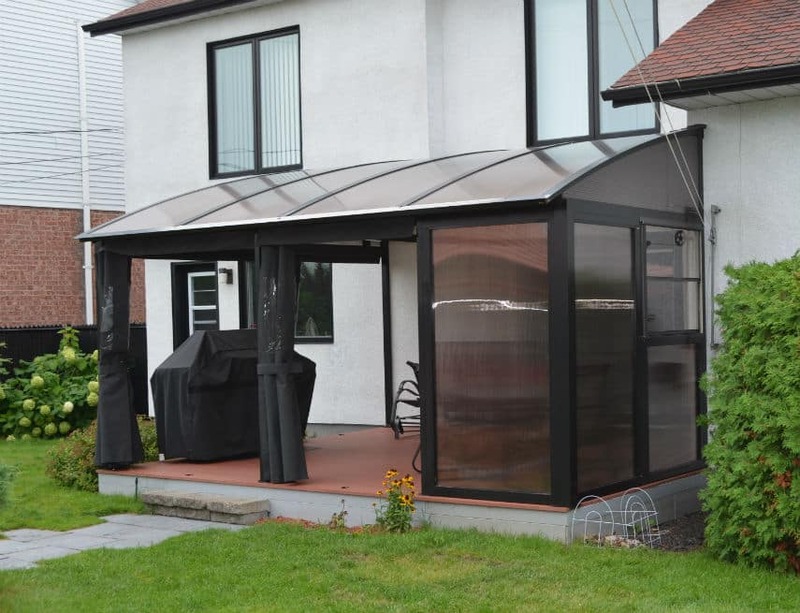 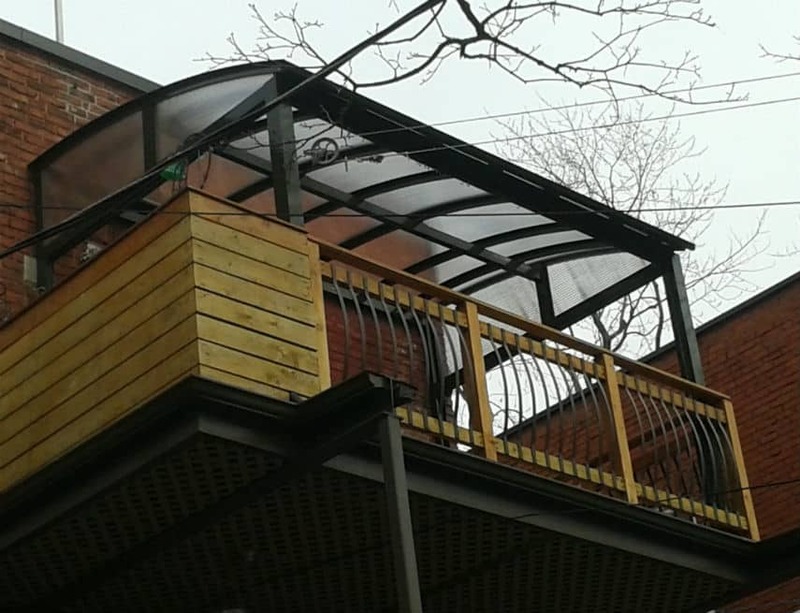 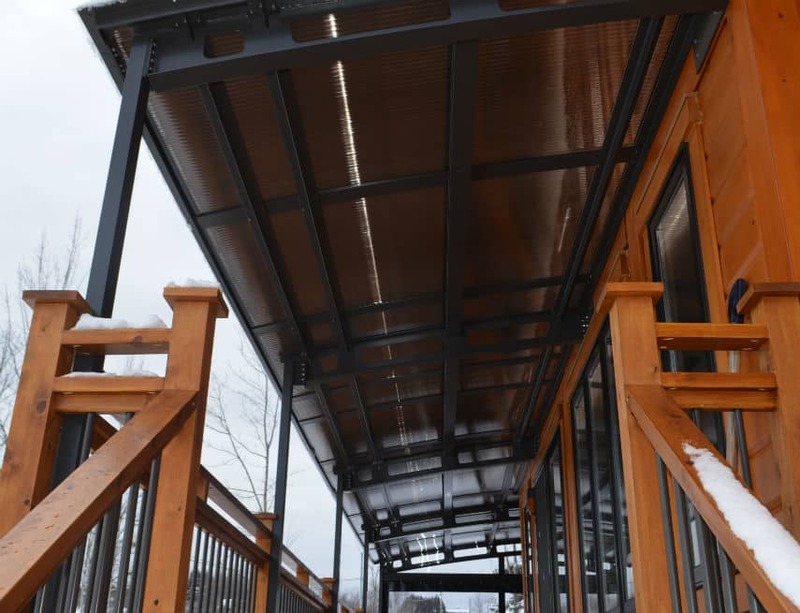 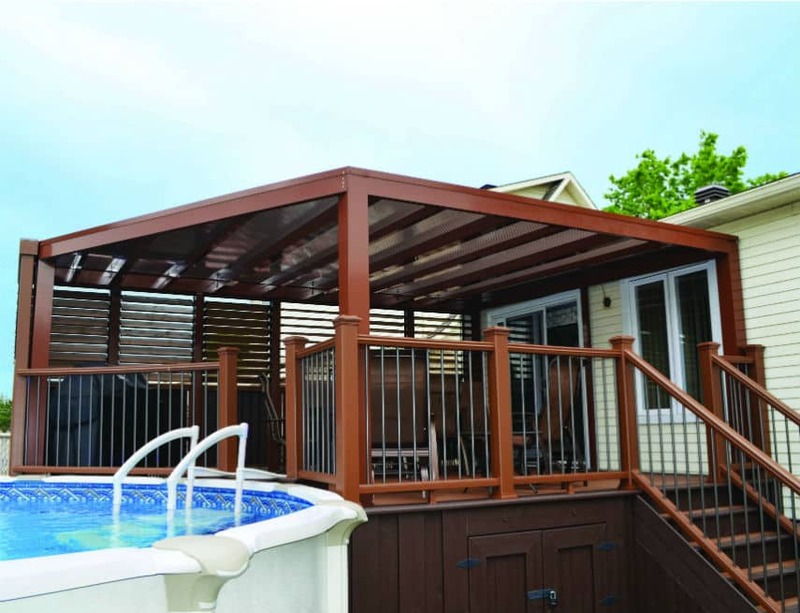 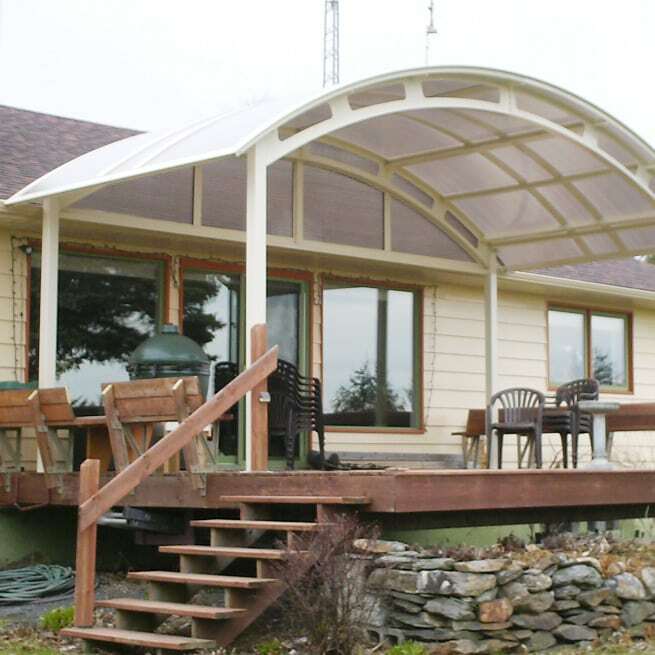 We built a balcony canopy with steel arches and a smoked polycarbonate roof that goes perfectly into this wood chalet-style home. 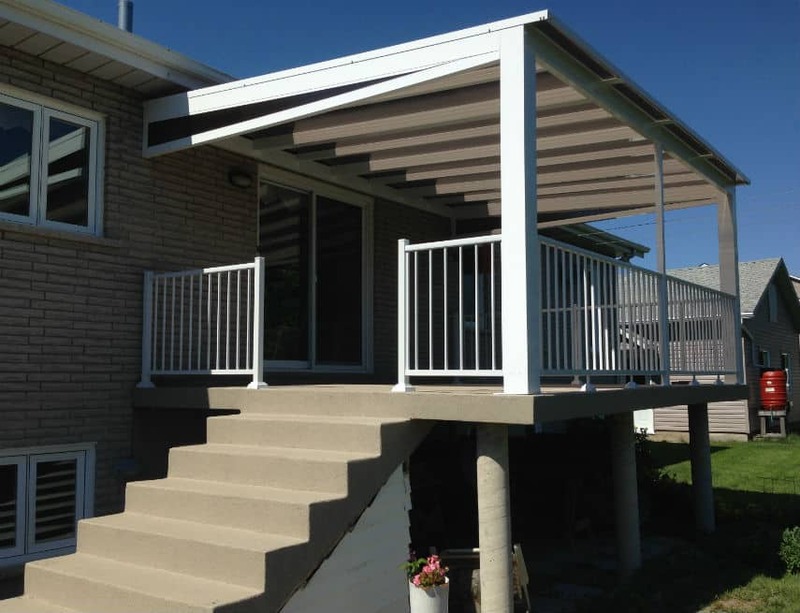 Tendal balcony canopies can be installed in a corner, under a low cornice, or to extend over an existing roof or give it continuity. 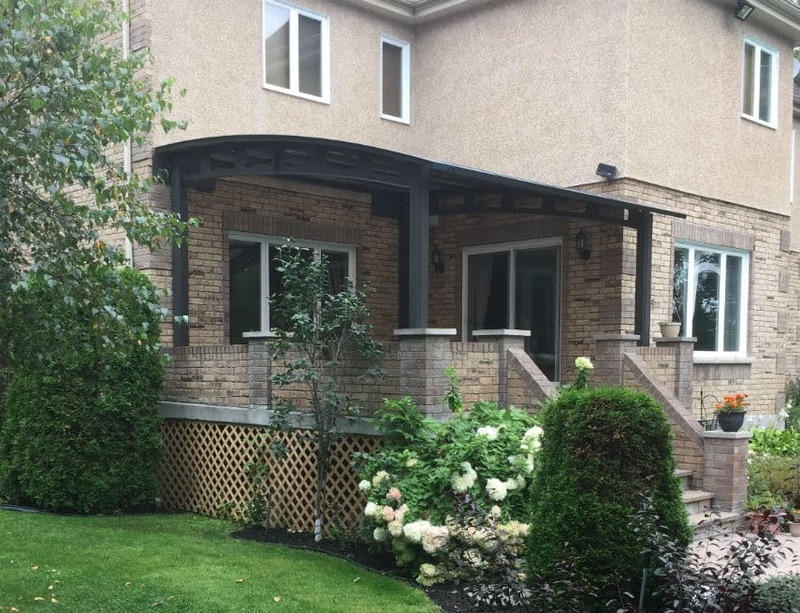 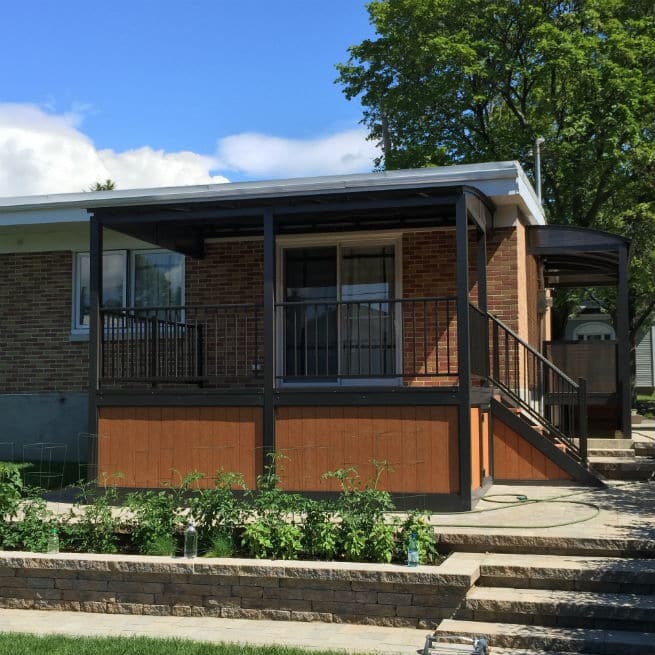 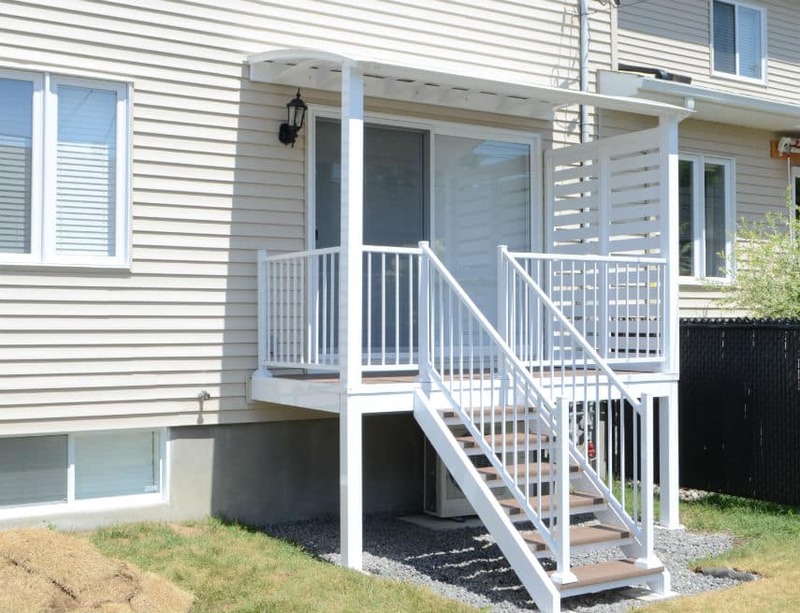 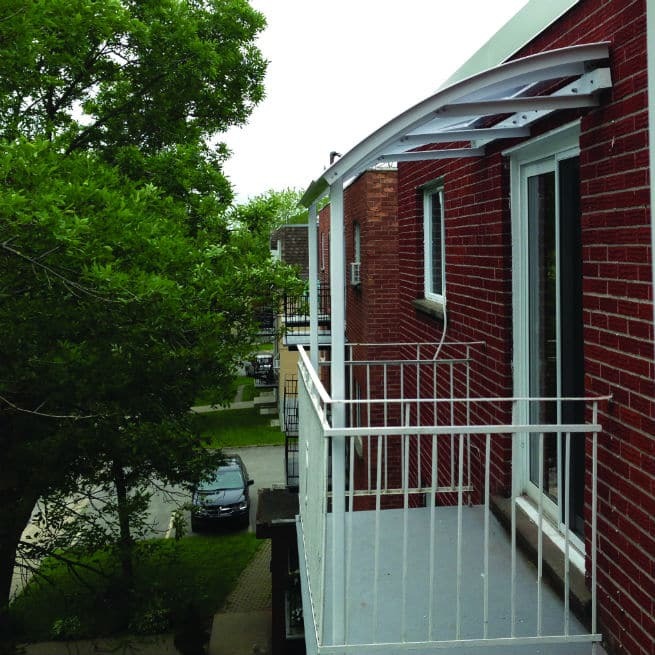 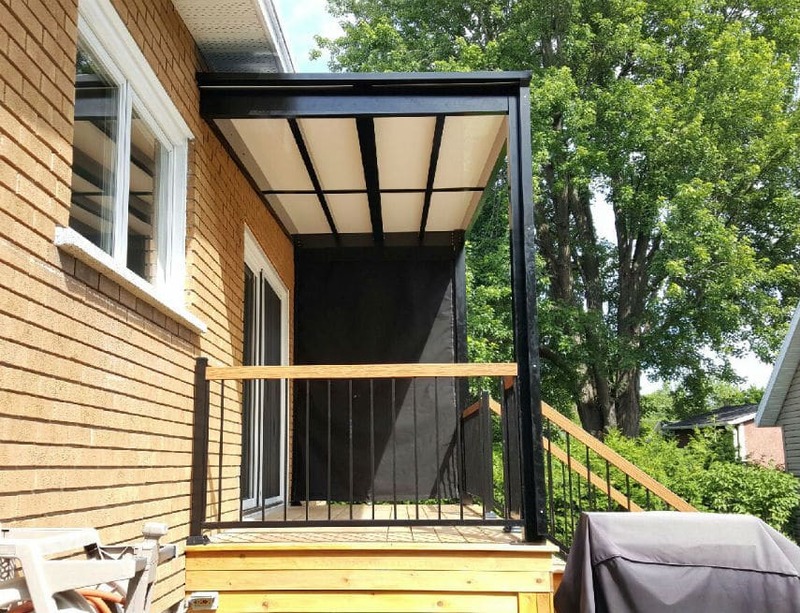 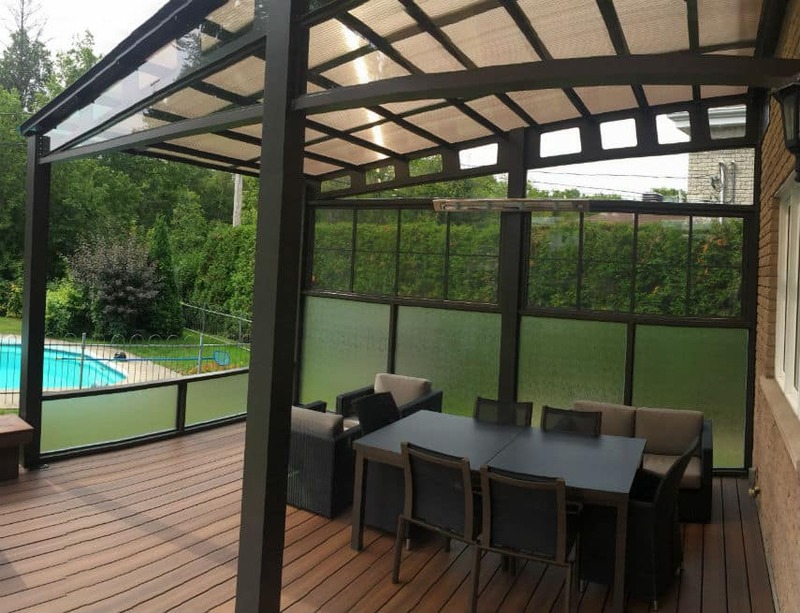 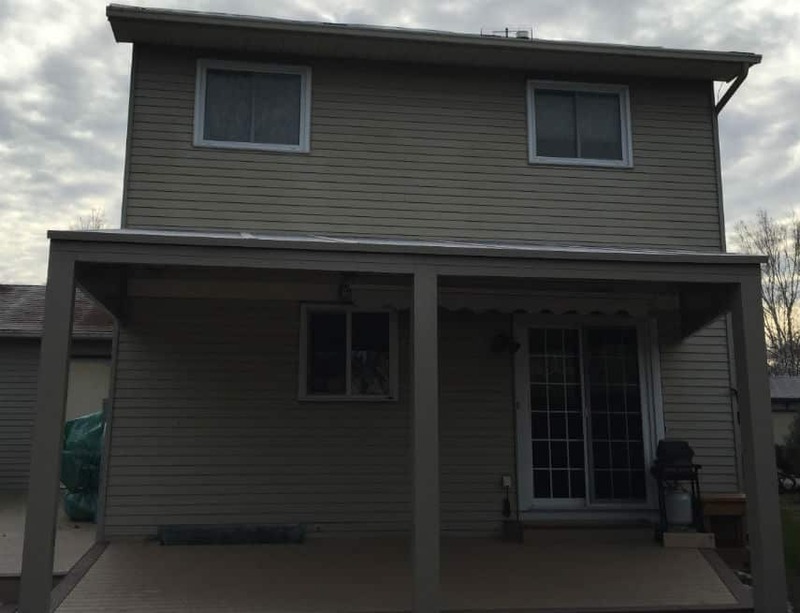 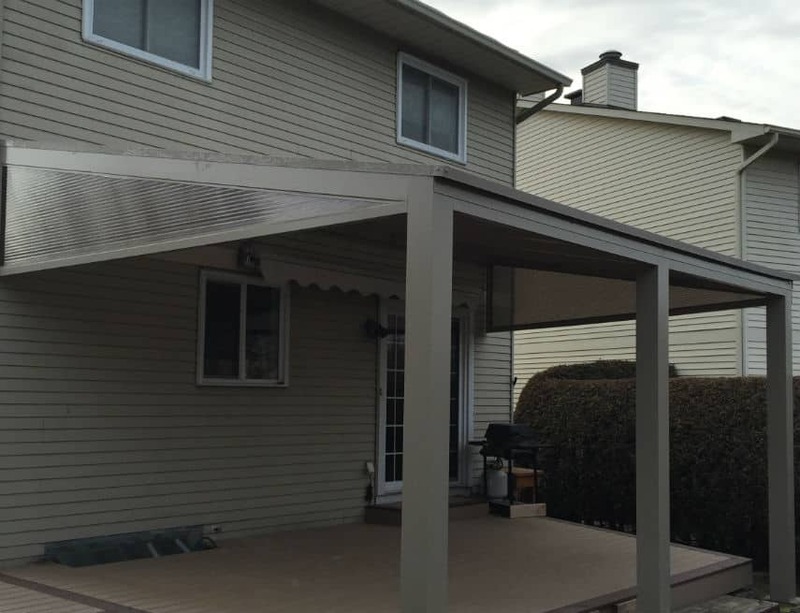 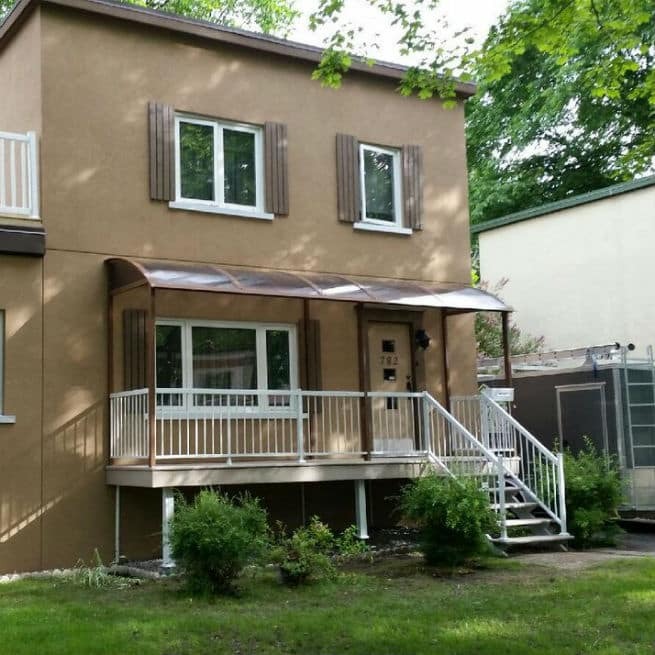 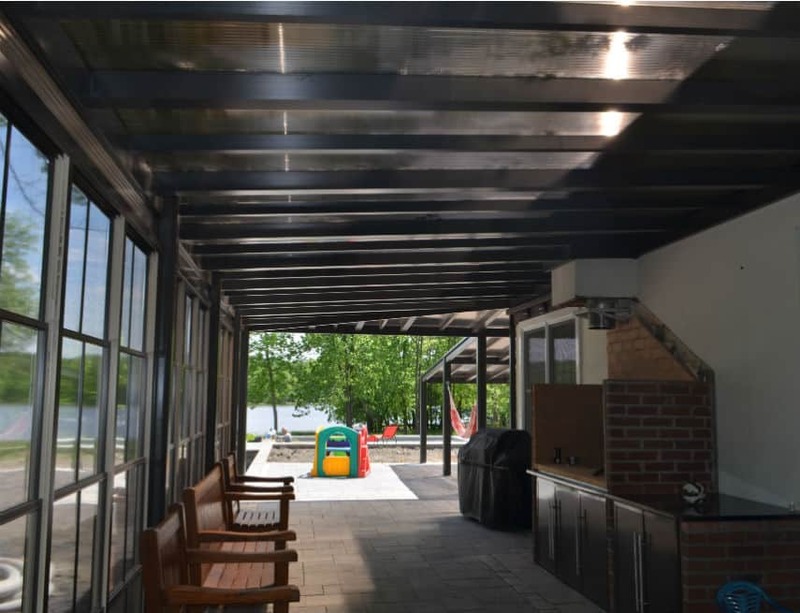 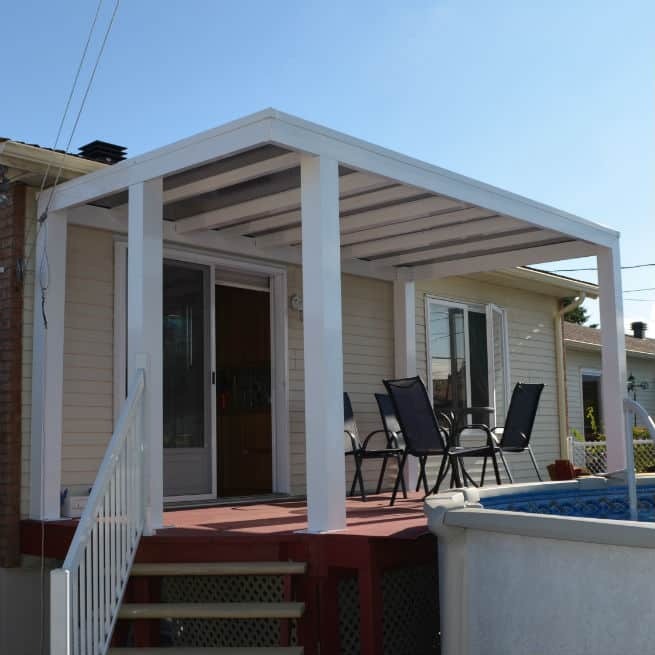 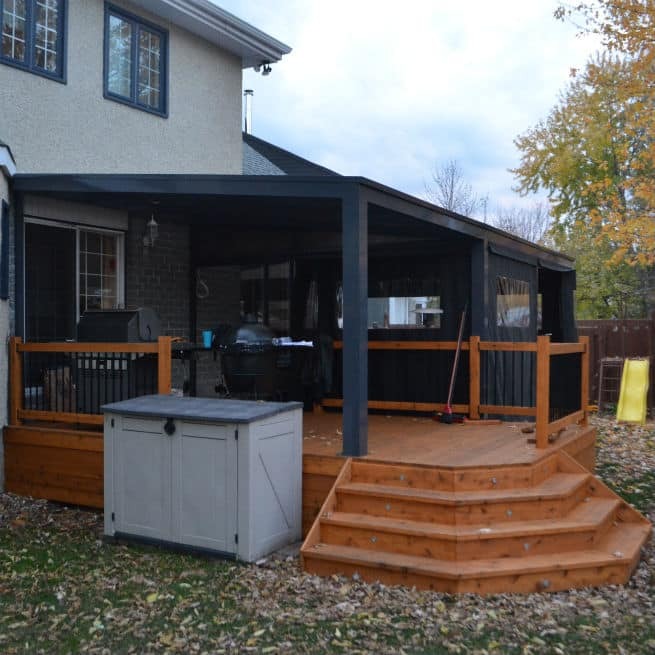 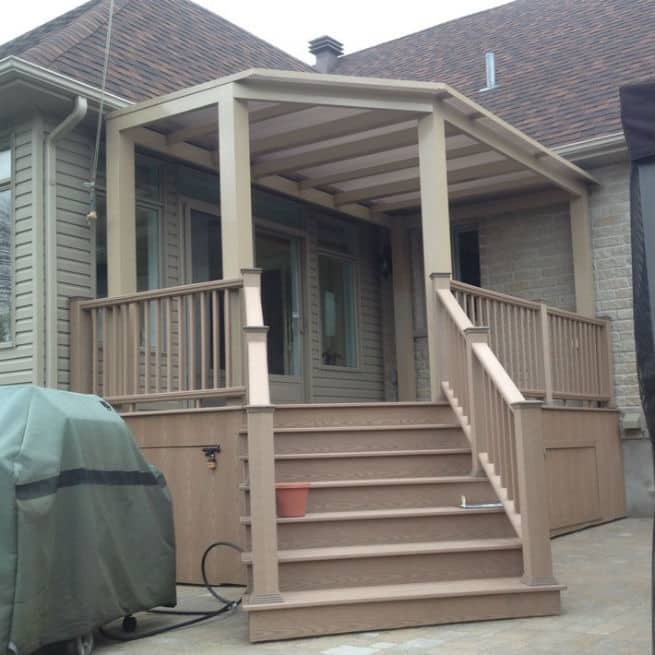 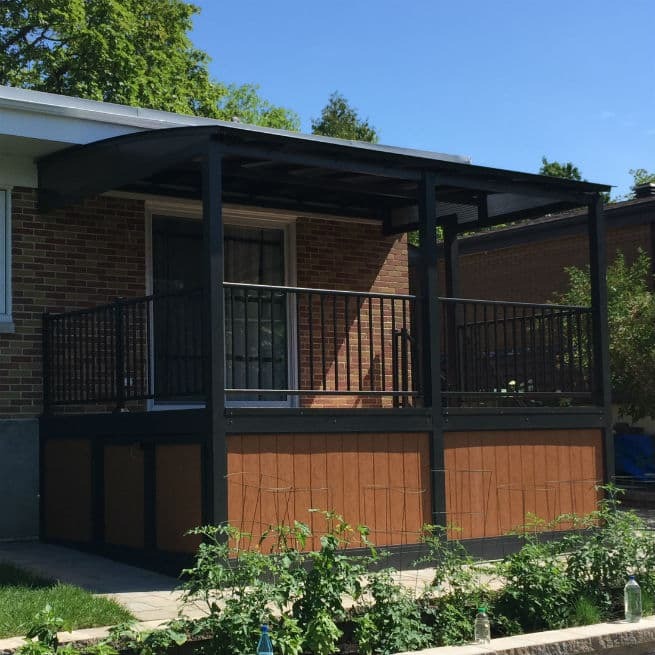 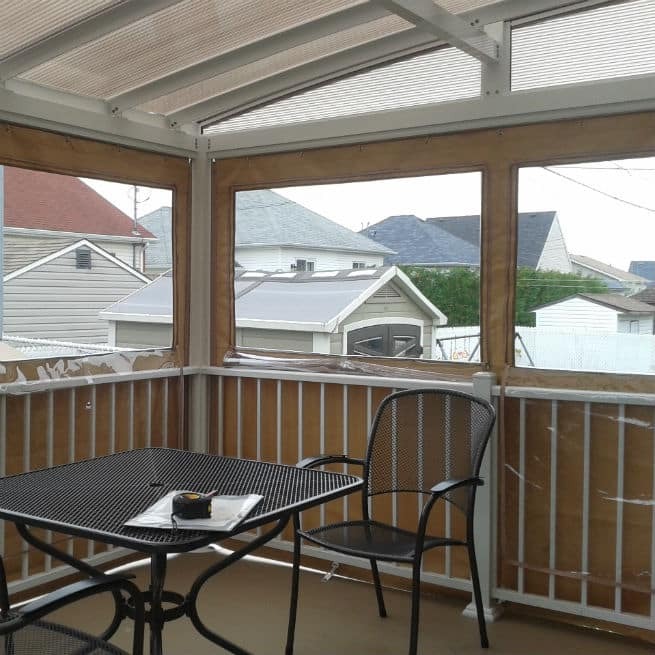 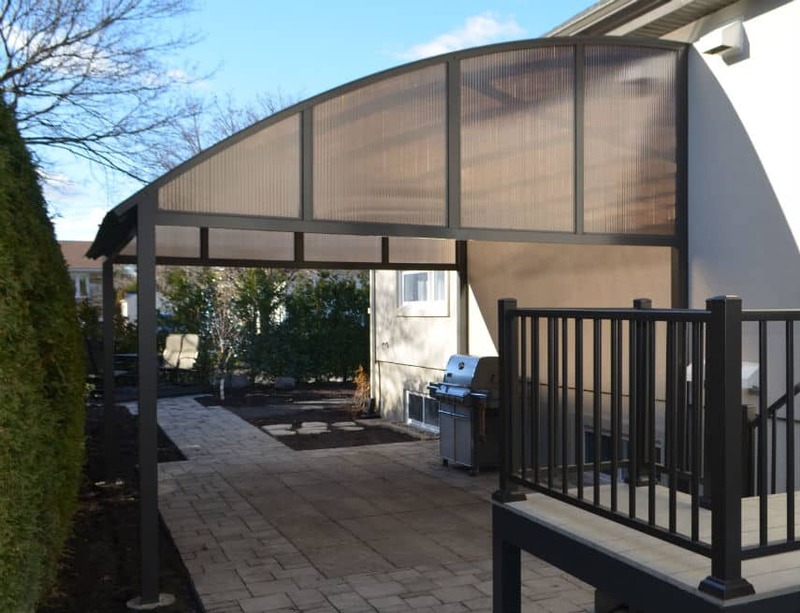 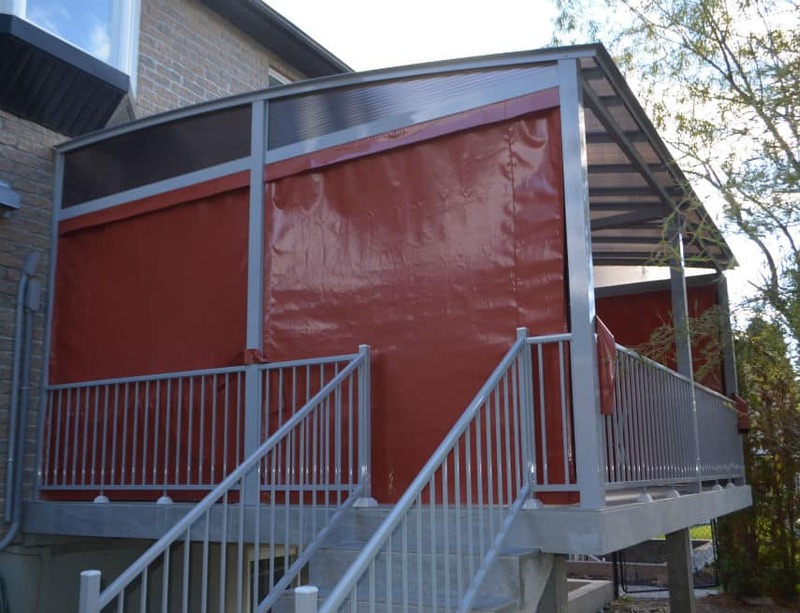 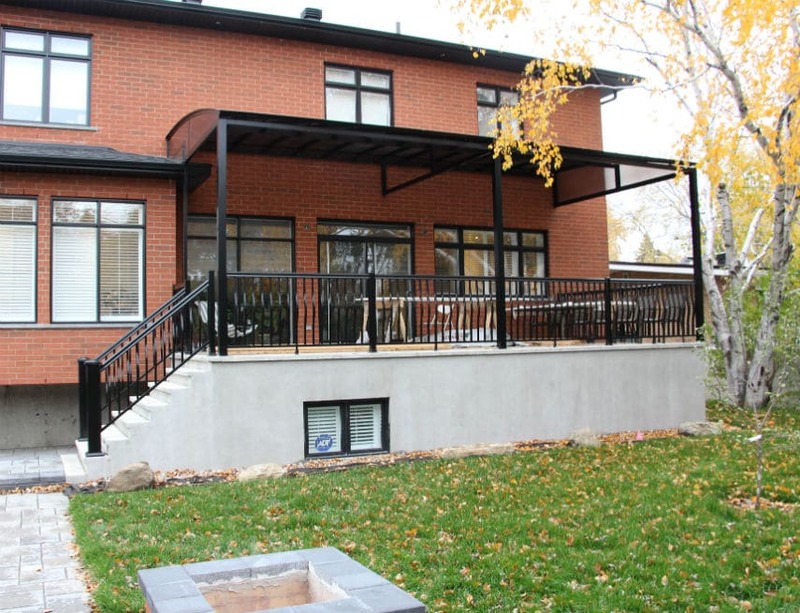 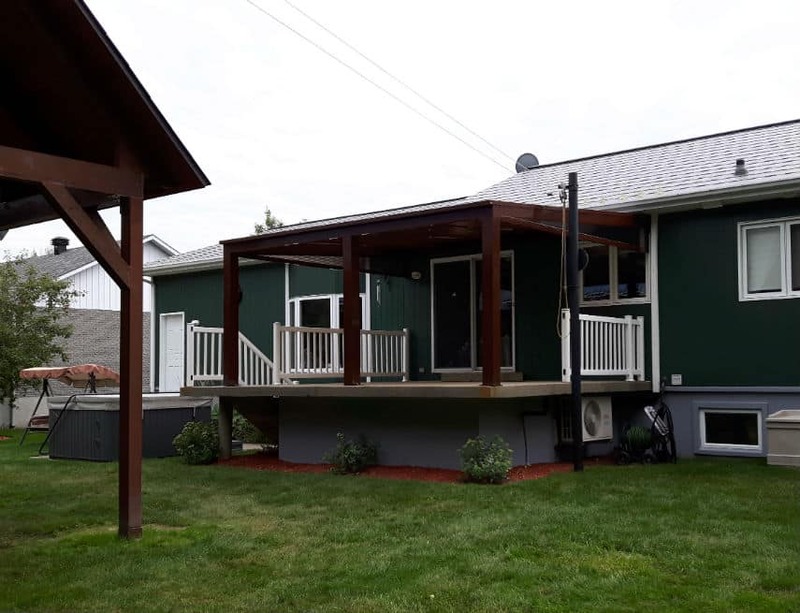 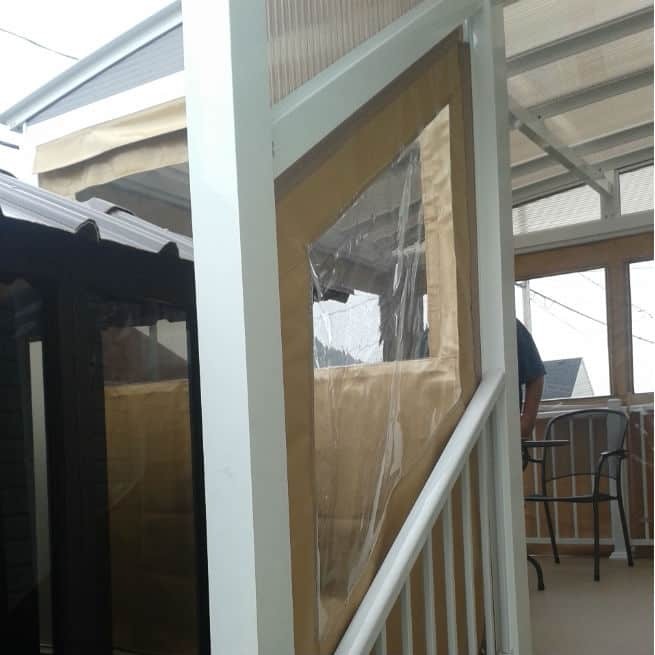 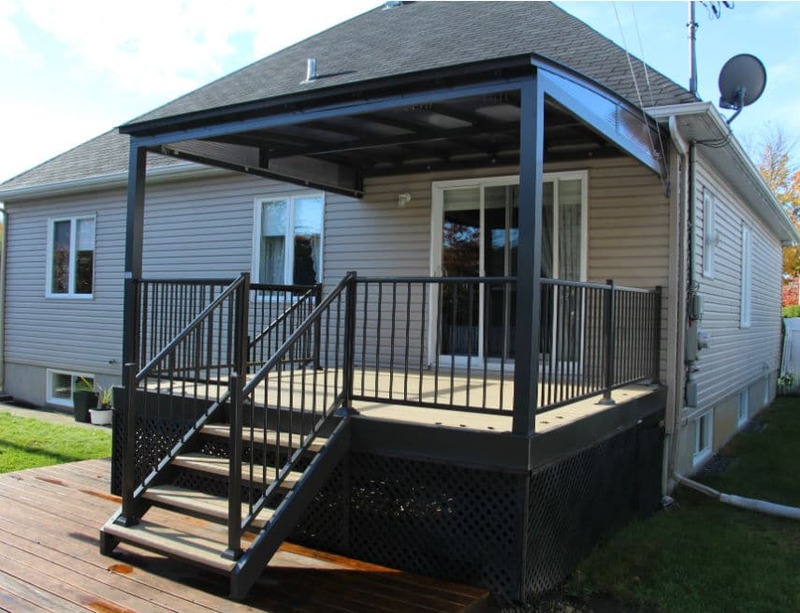 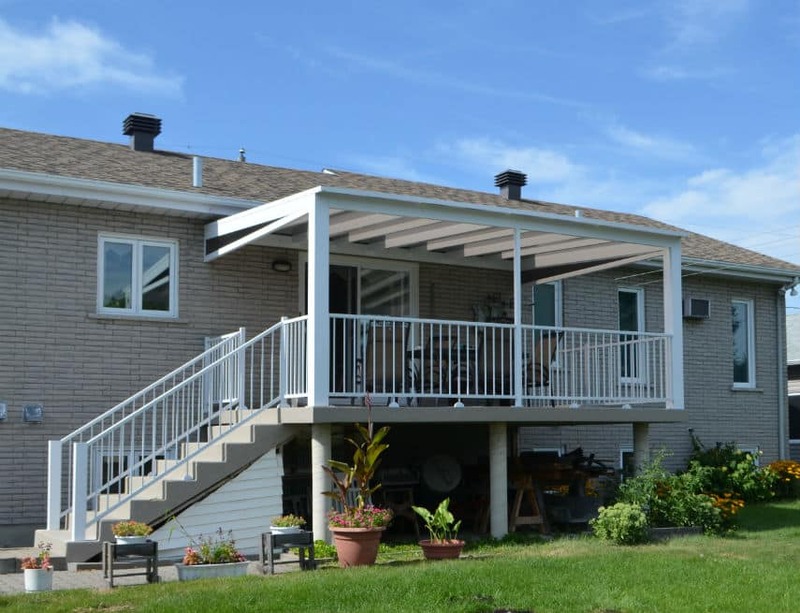 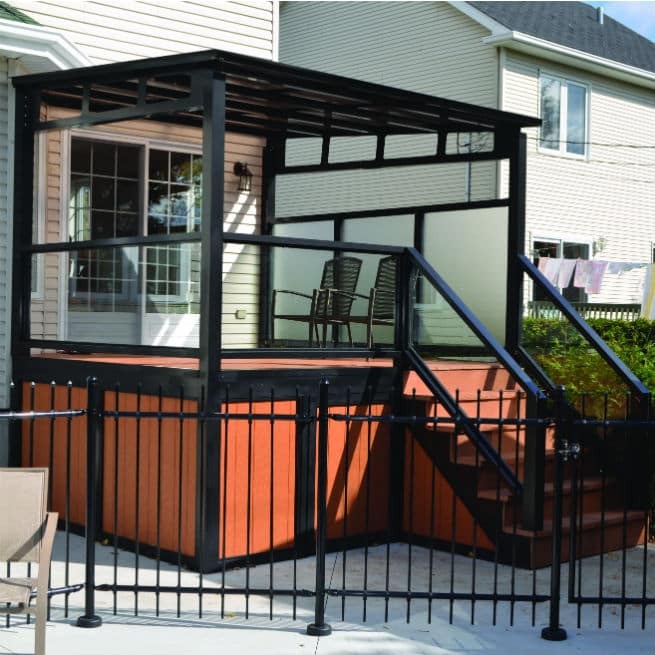 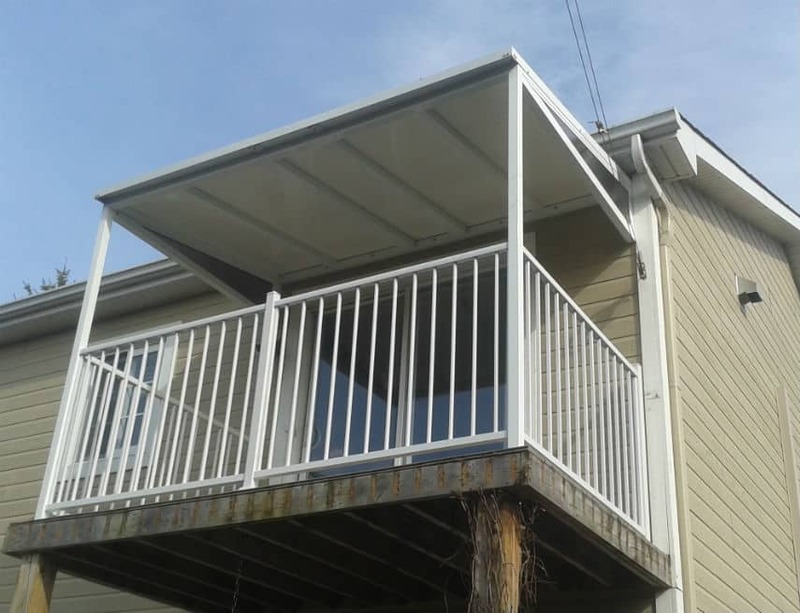 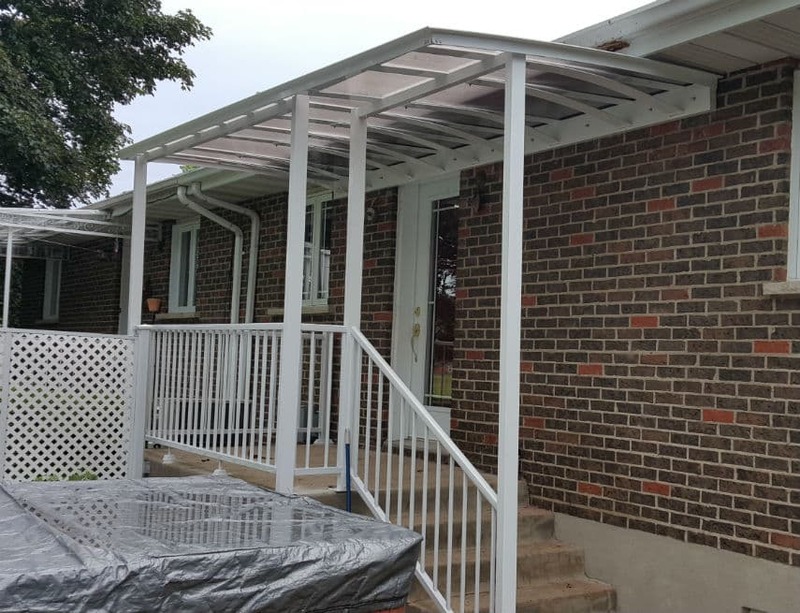 We can also integrate your current balcony railing into your project, painting it the same colour as your shelter and fixing it to the structure’s columns. 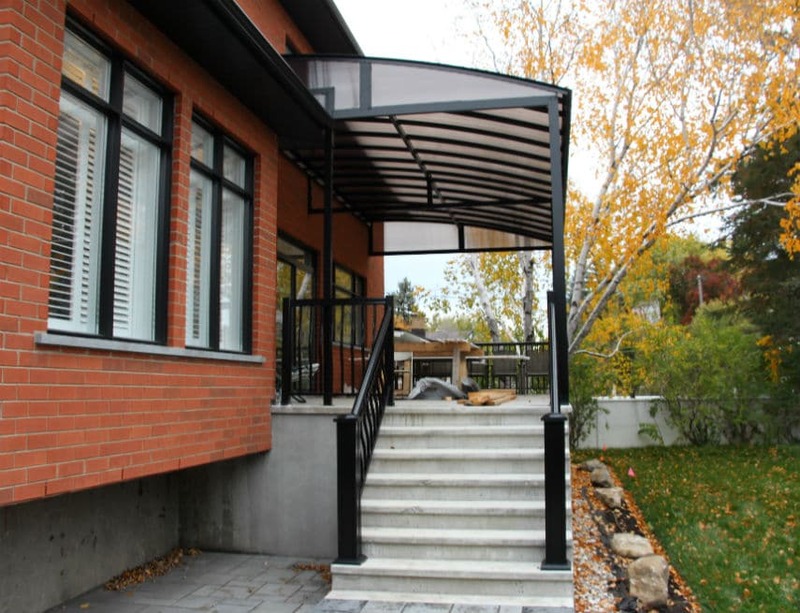 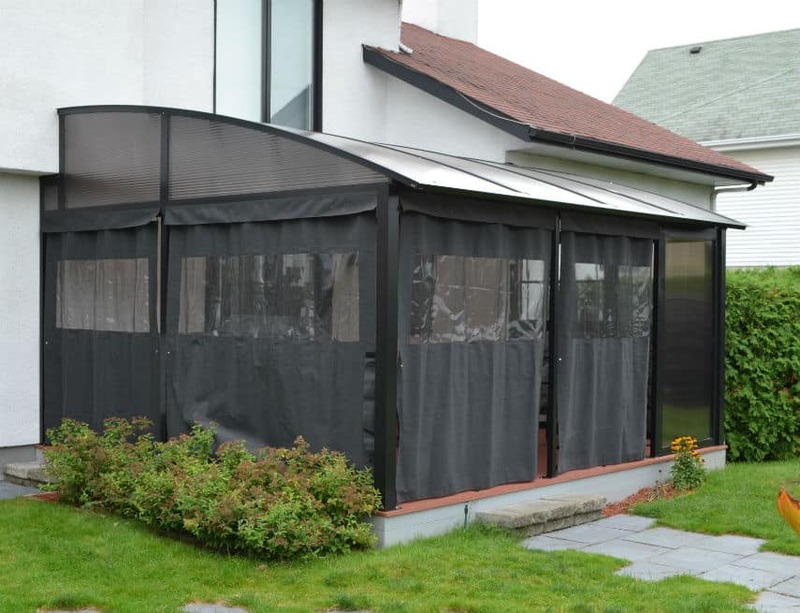 We can also add architectural features such as a privacy wall or a polycarbonate low wall. 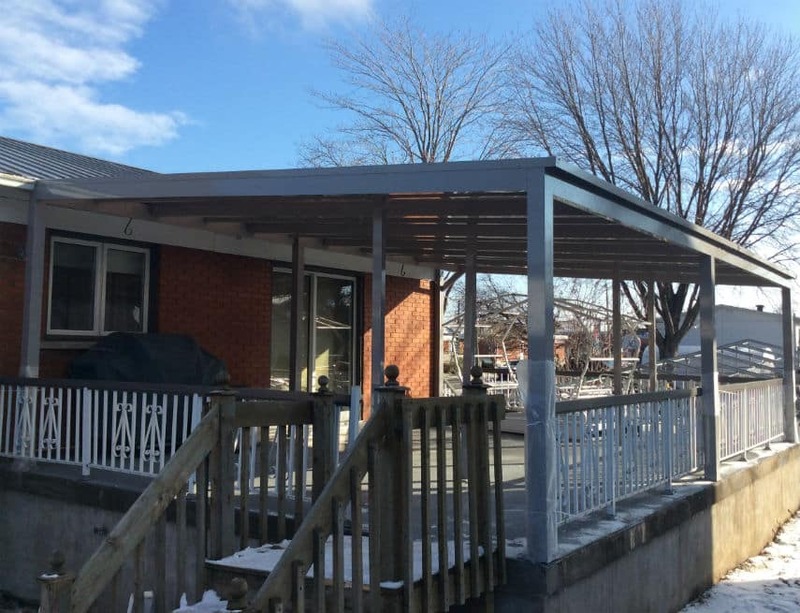 Our solid shelters – all designed following a sealed engineering plan – have no equal in weathering our winters. 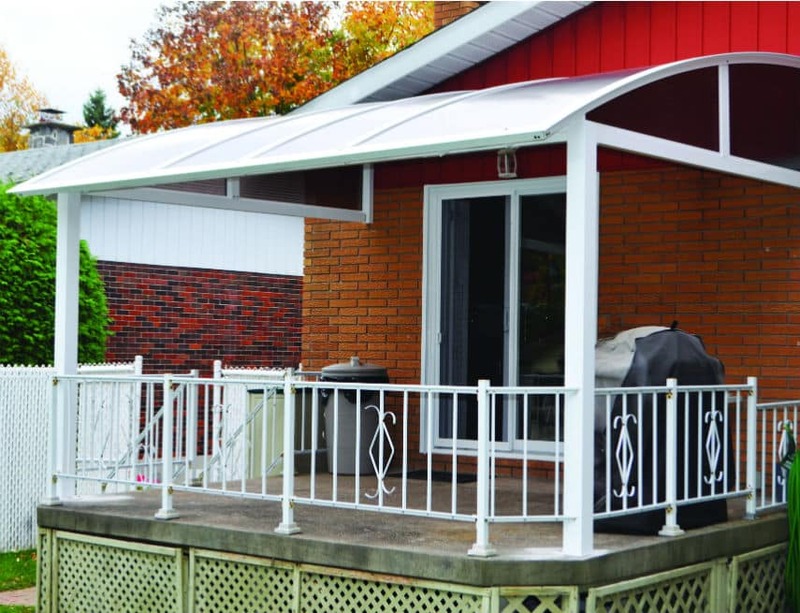 Offered in more than 200 colours, they will blend with your other outdoor décor, adding a unique touch to your summer. 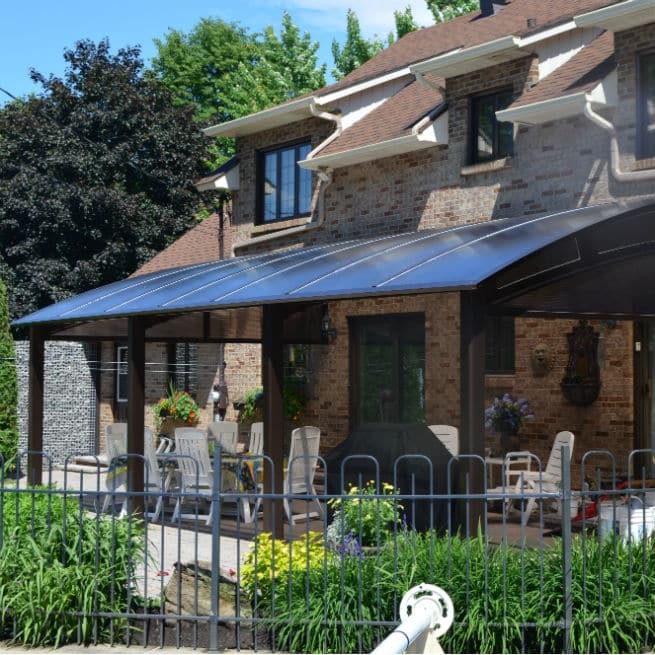 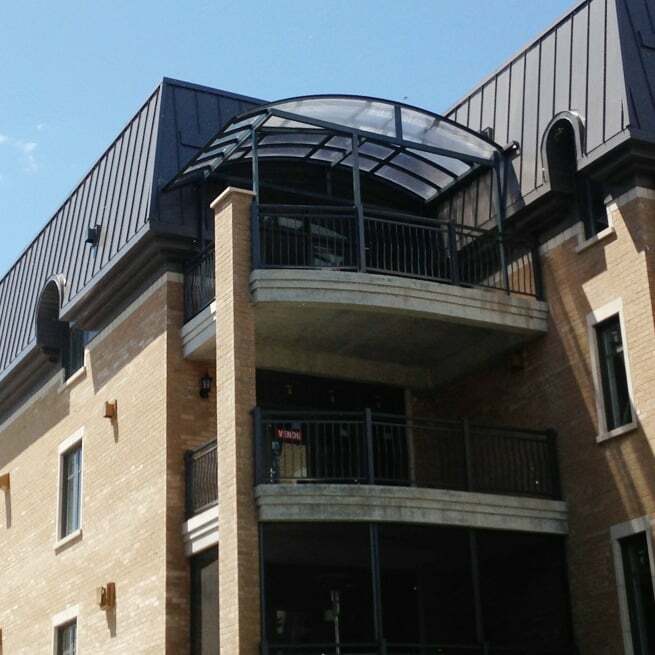 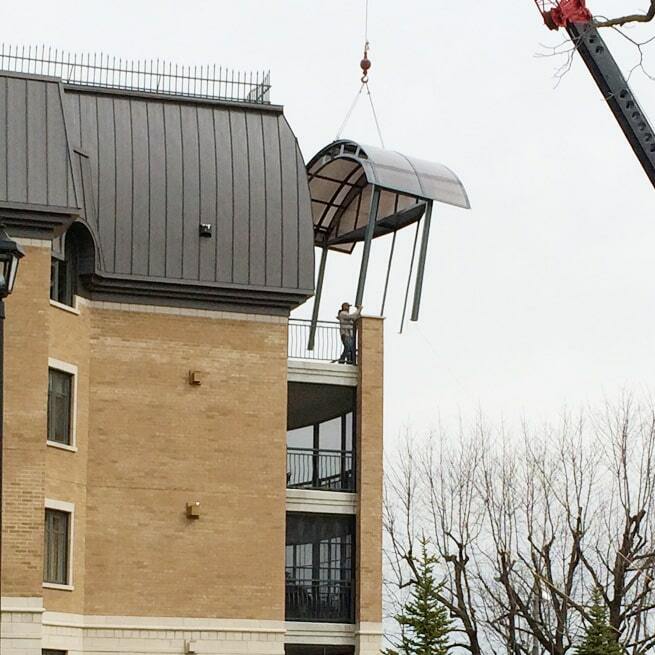 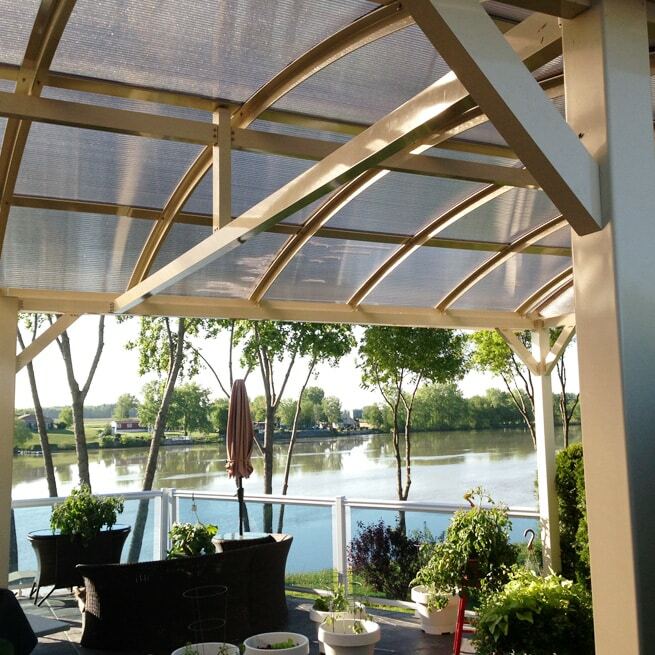 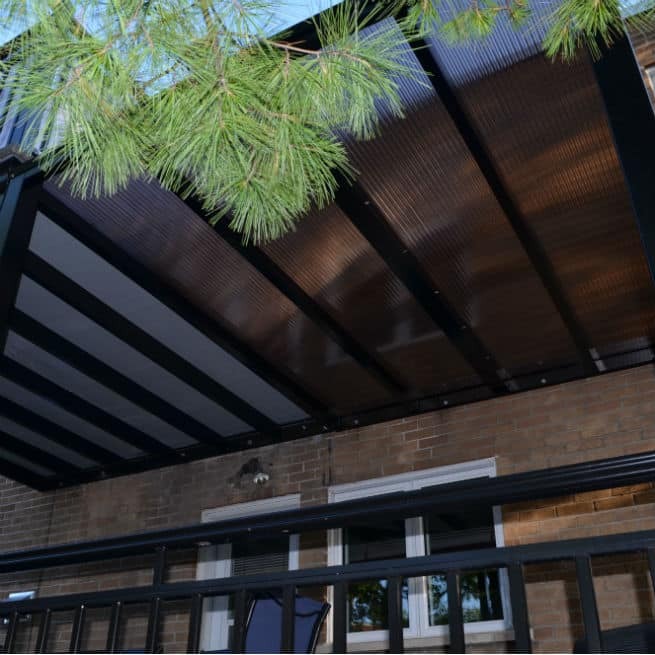 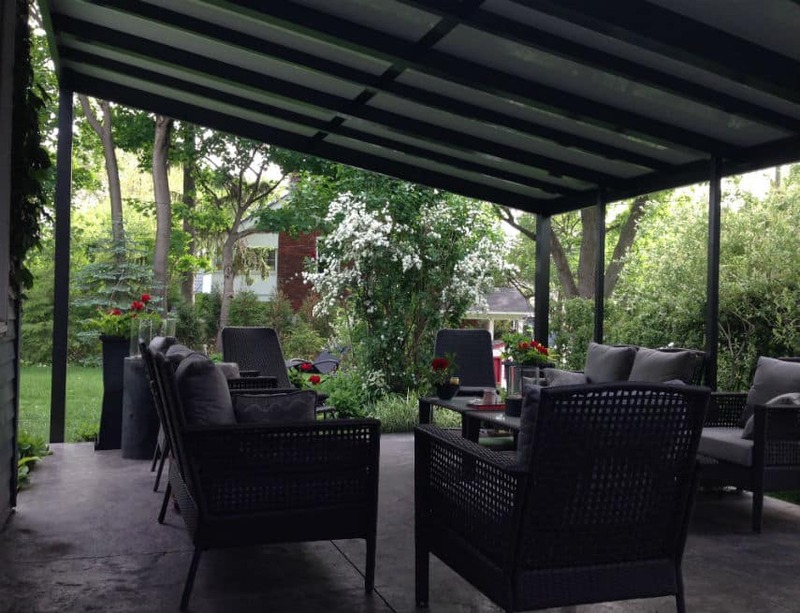 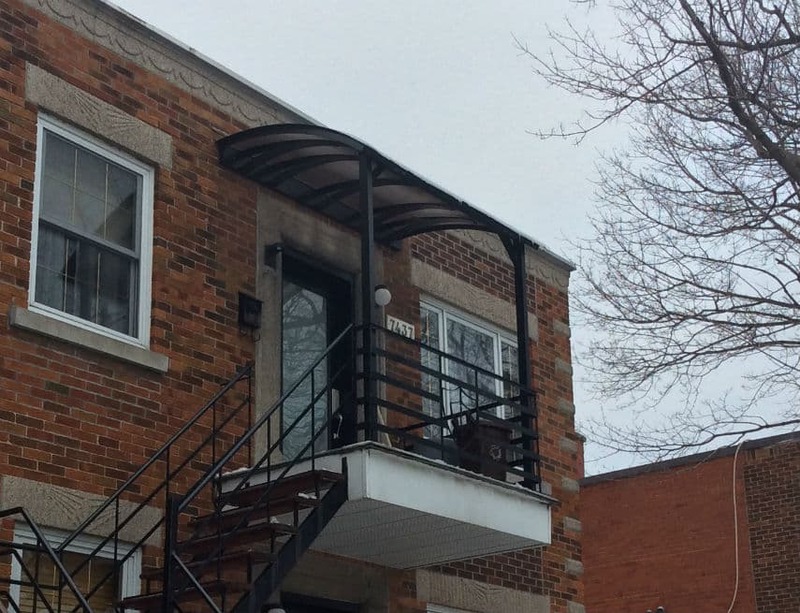 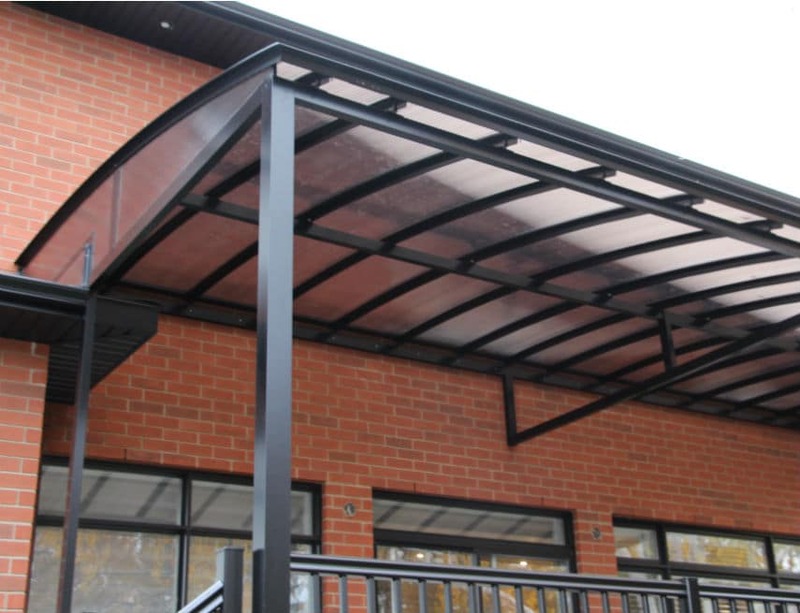 Want more information on our balcony canopies ?